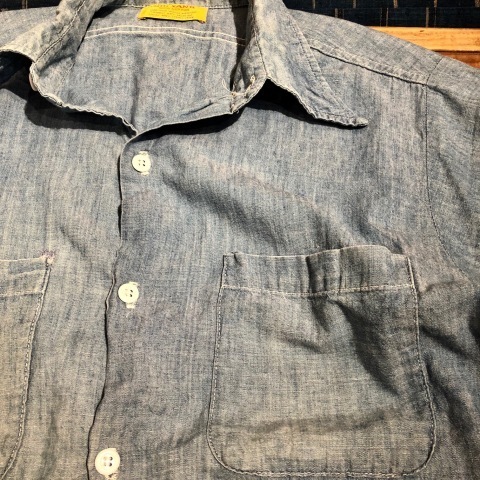 1950s " BIG MAC -J.C PENNEY CO.INC- " 100% cotton BLACK CHAMBRAY Vintage WORK SHIRTS . 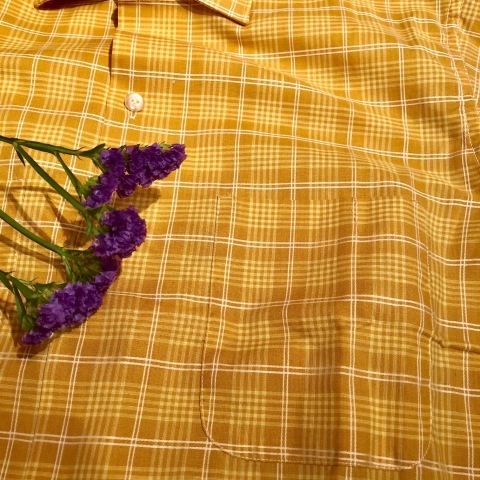 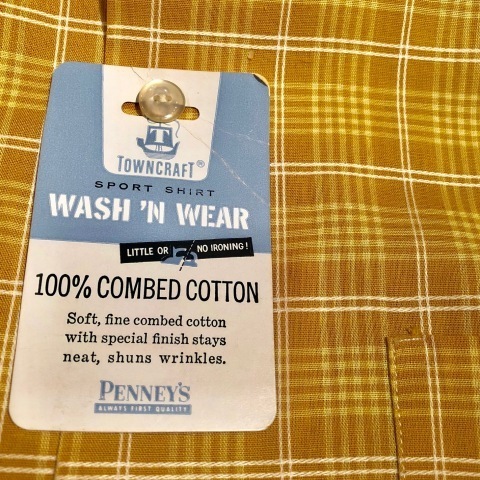 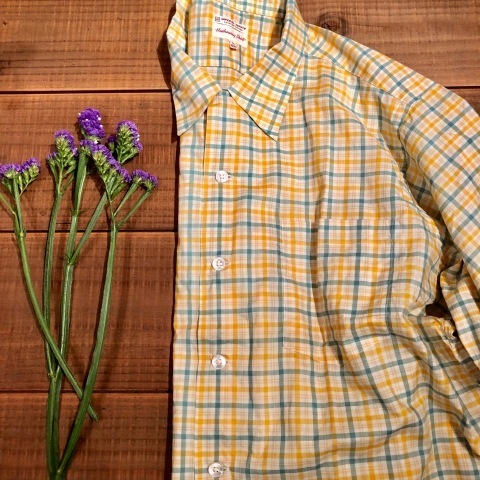 1960s " PENNEY'S -TOWN CRAFT- " 100% combed cotton VINTAGE BOX-TAIL CH SHIRTS " N.O.S " . 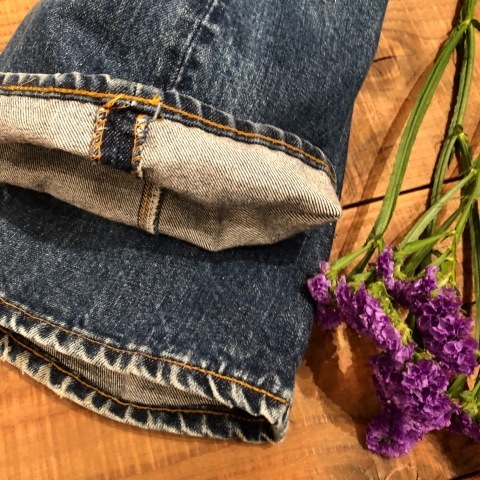 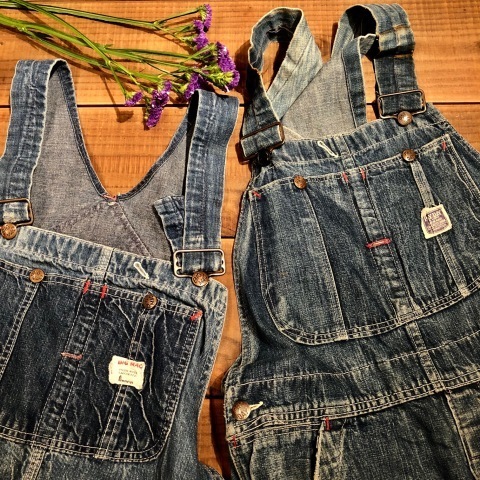 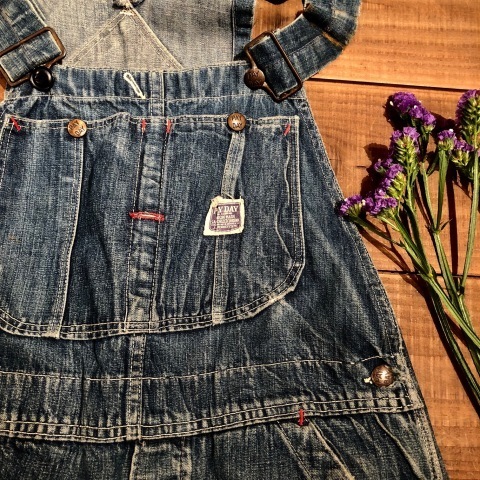 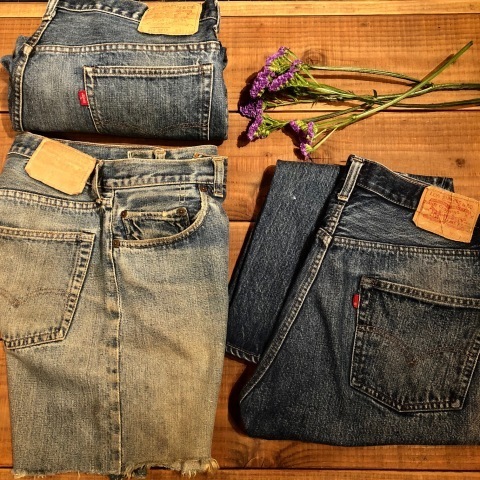 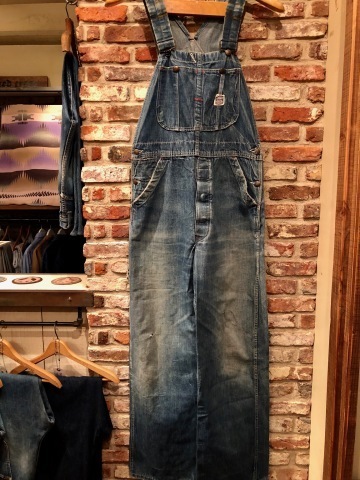 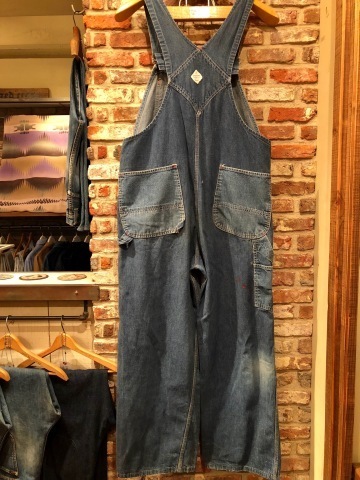 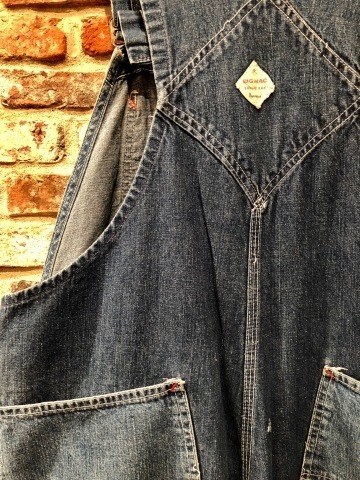 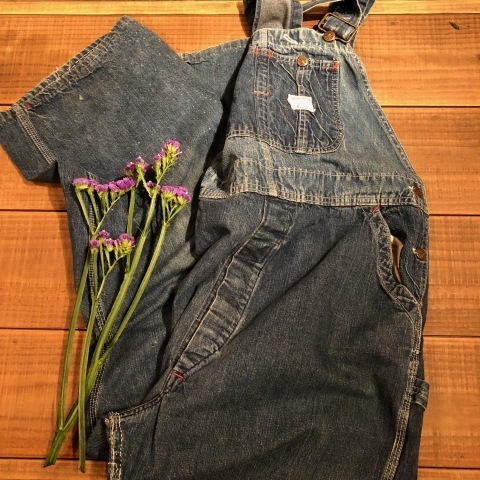 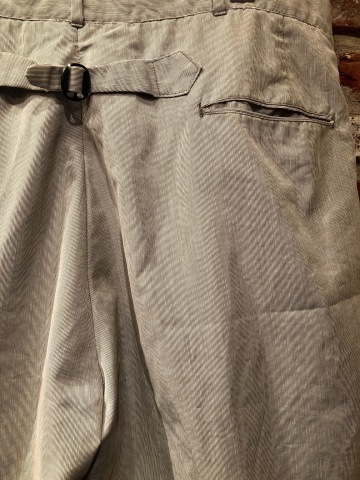 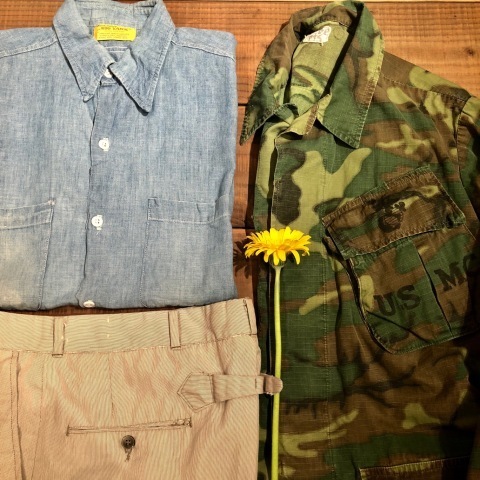 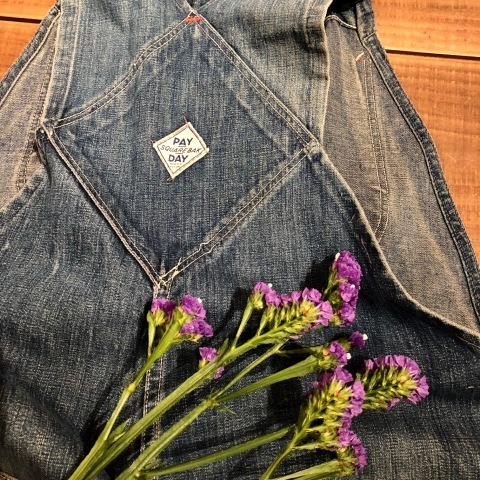 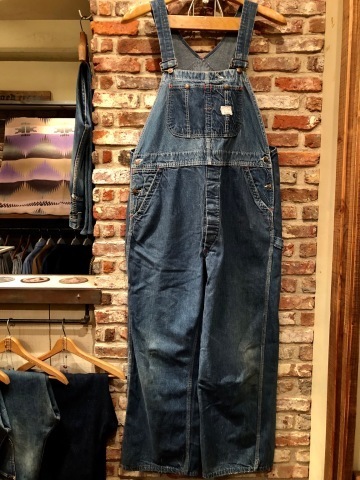 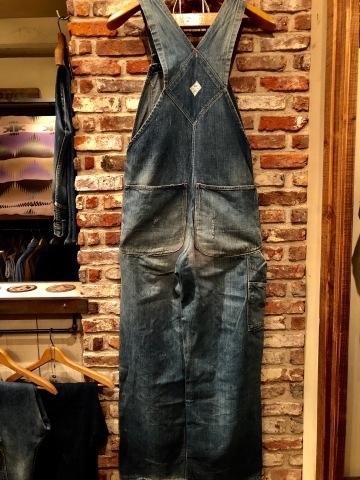 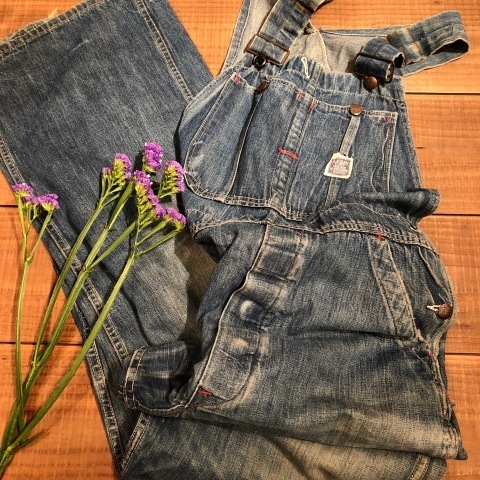 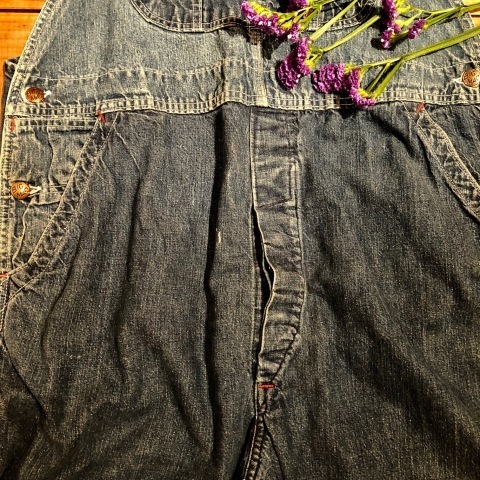 1940s " PAY-DAY " ＆ 1960s " BIG-MAC " VINTAGE - PENNEY'S - DENIM OVER ALL × ２PCS . 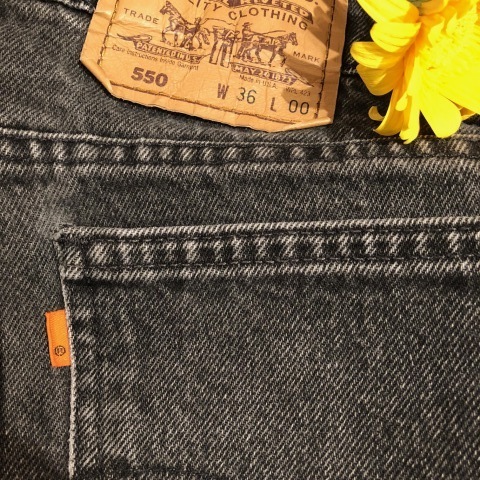 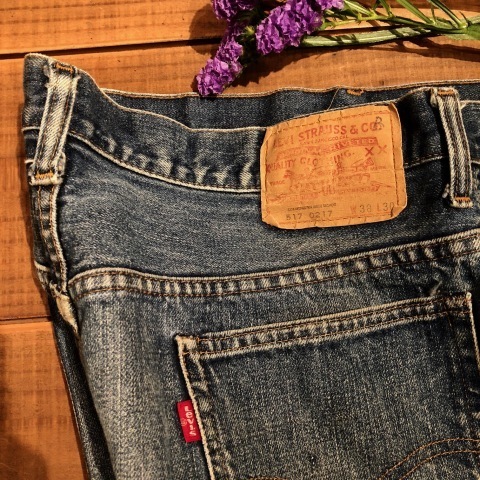 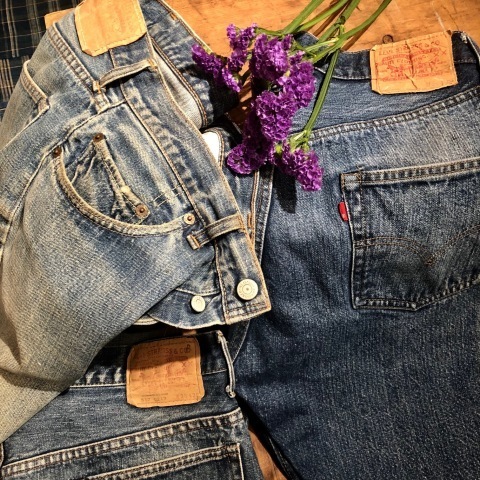 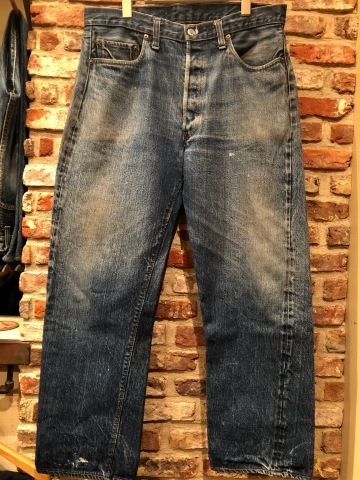 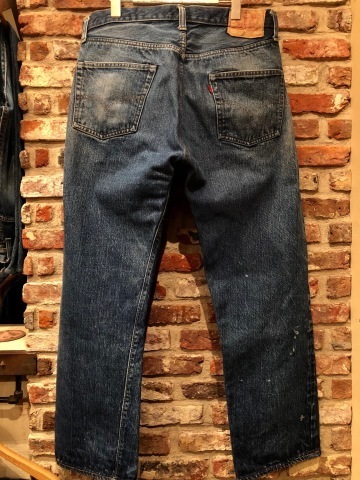 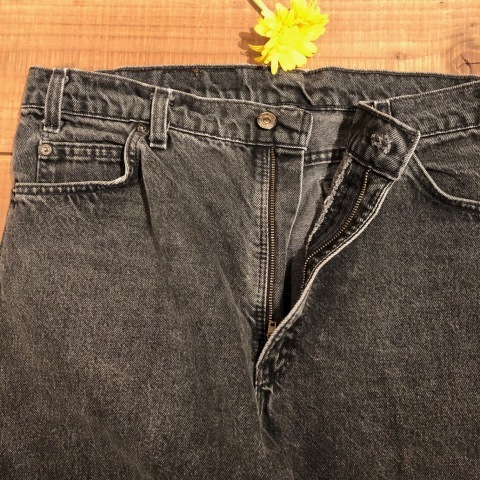 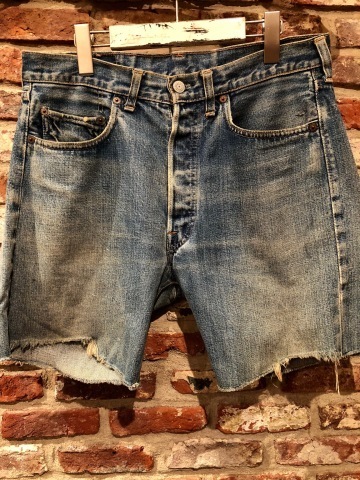 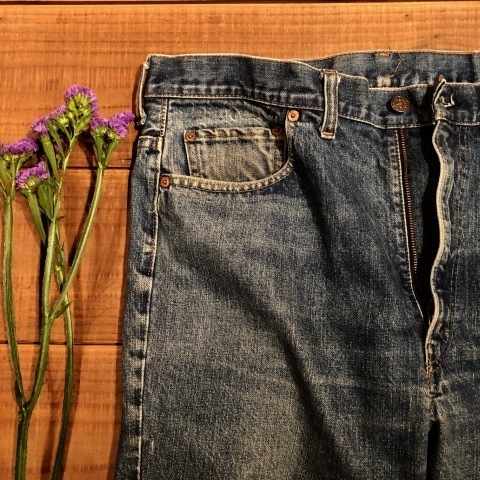 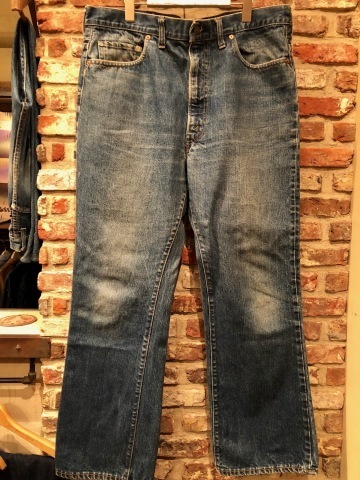 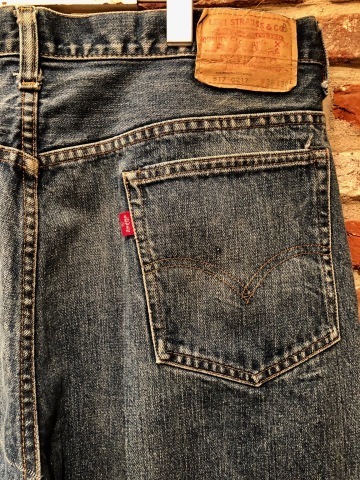 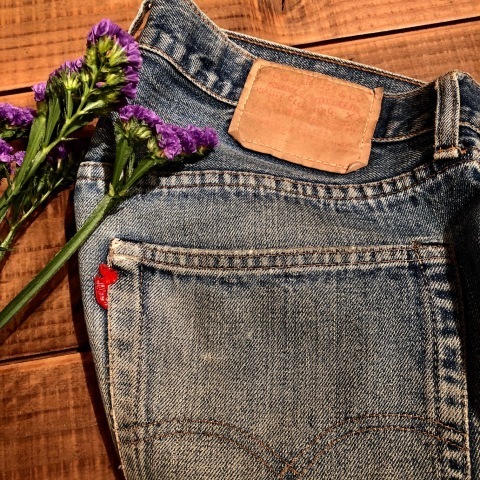 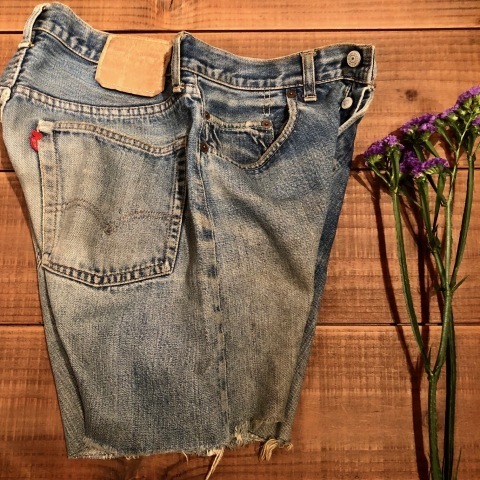 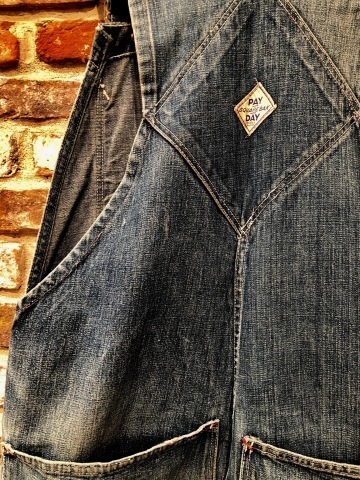 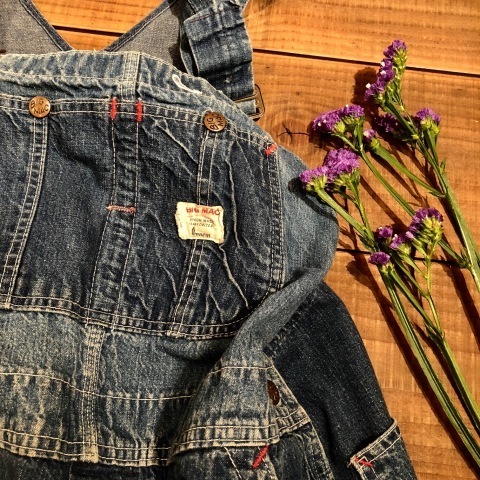 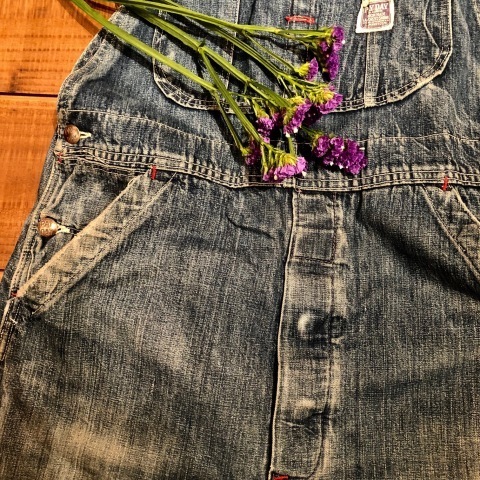 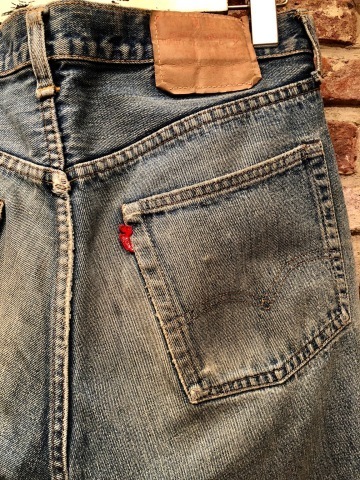 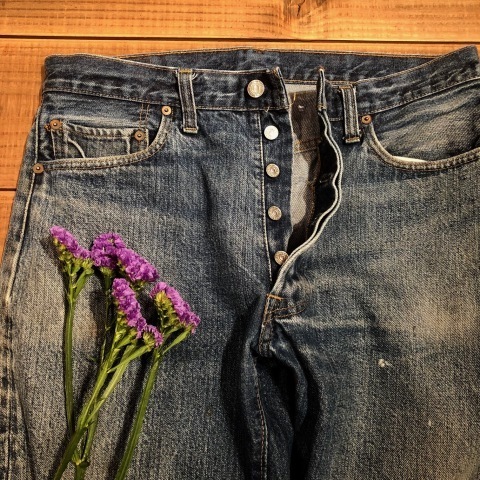 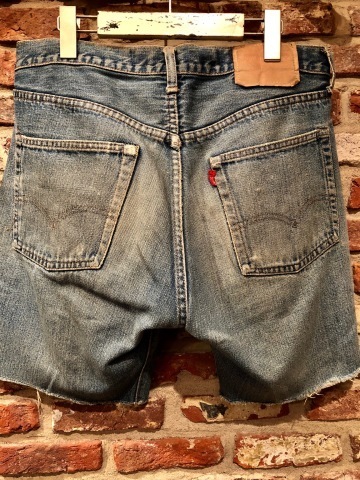 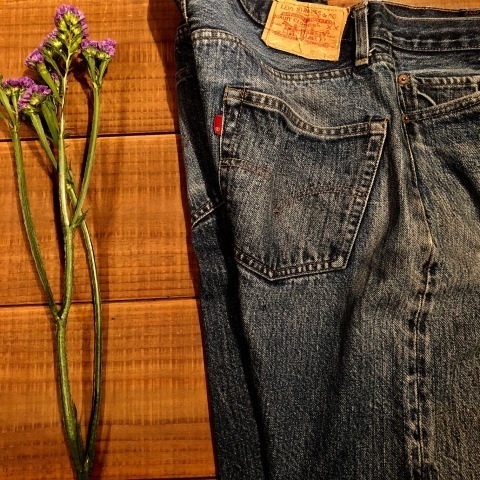 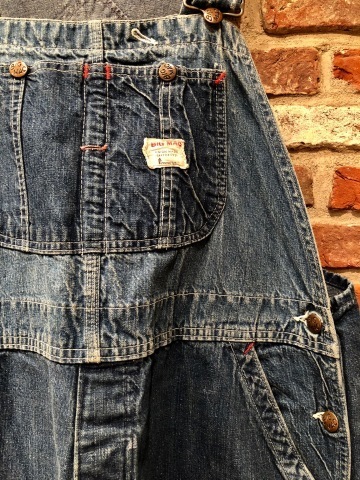 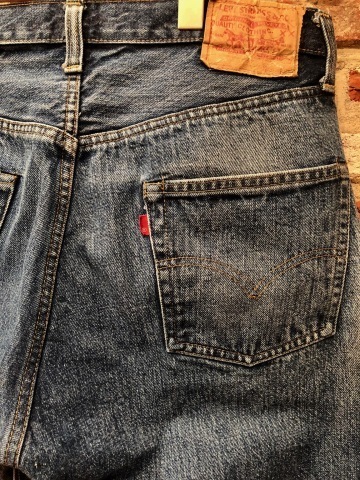 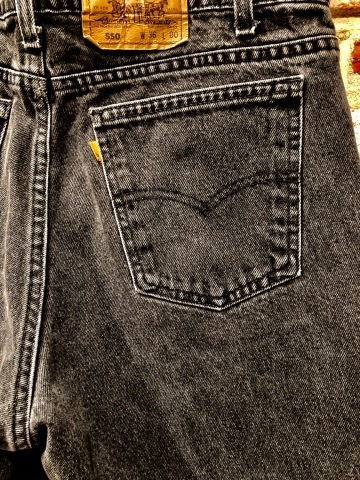 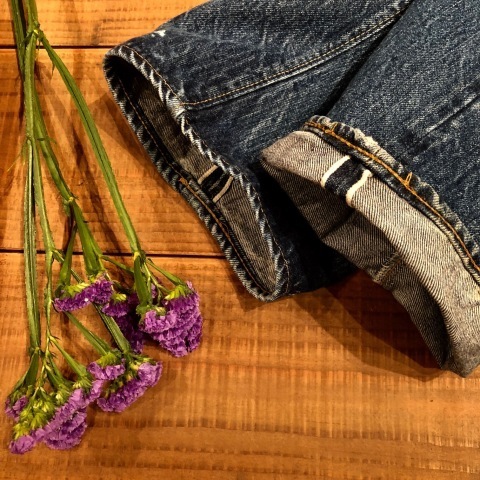 1970s " Levi's " RED tab ５０１ - ６６MODEL - VINTAGE 5POCKET button fly JEANS . 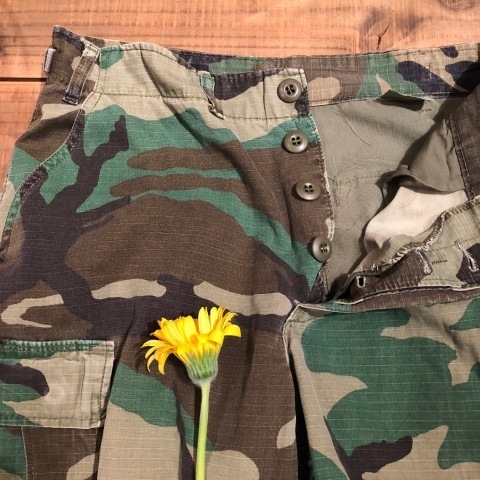 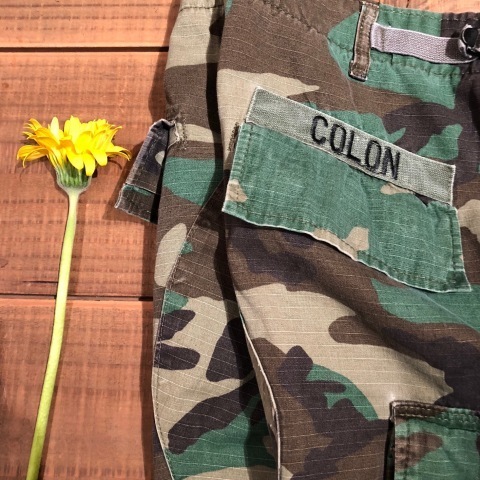 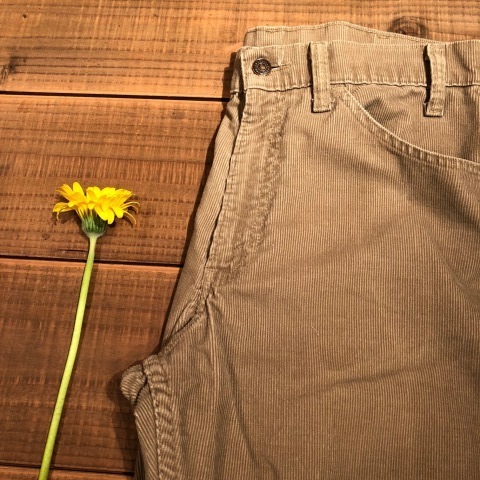 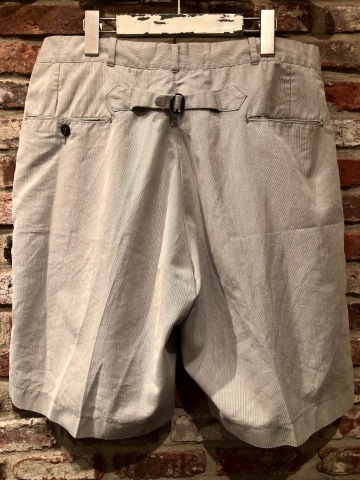 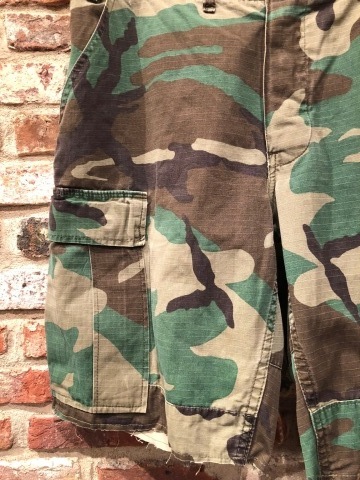 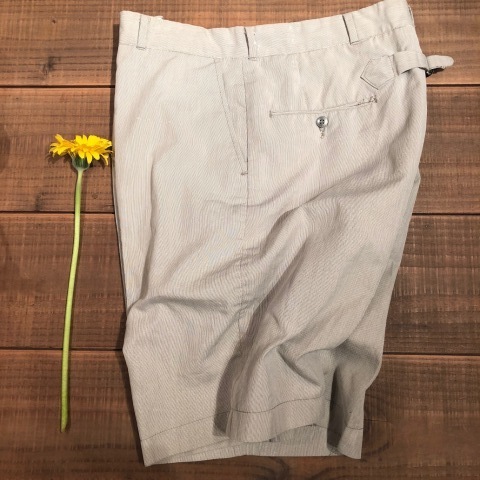 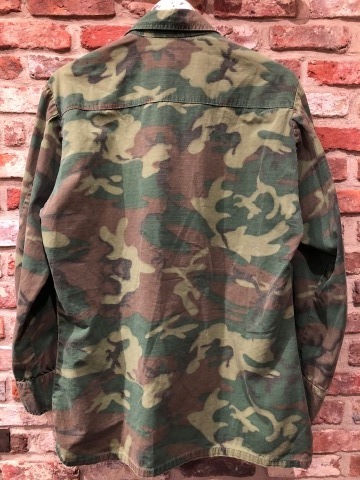 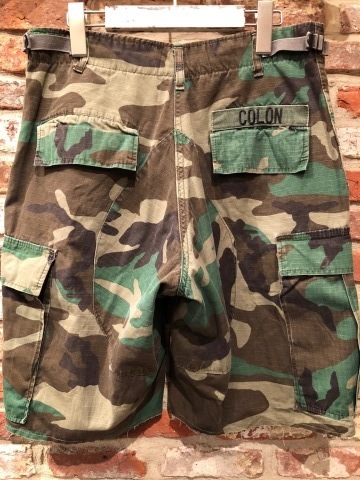 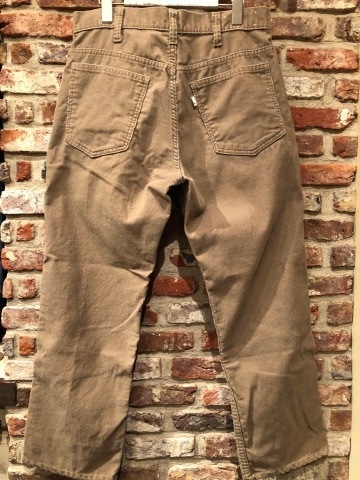 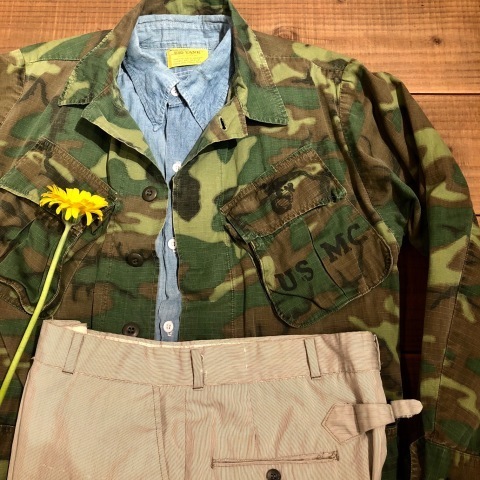 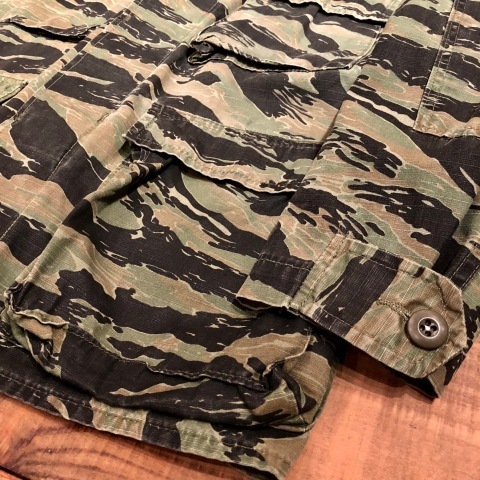 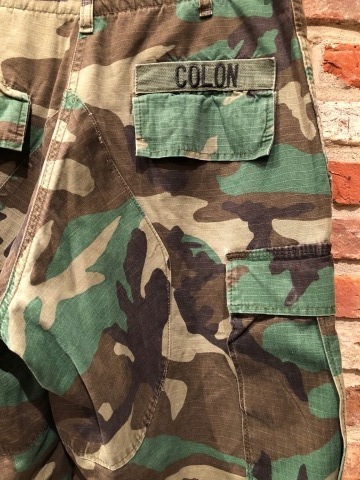 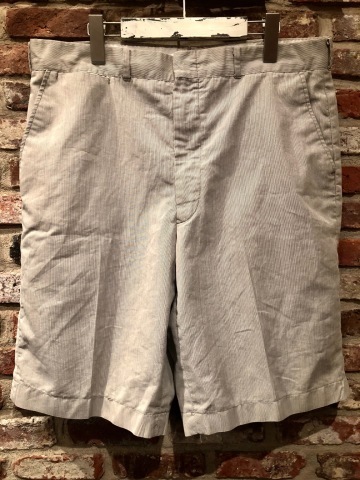 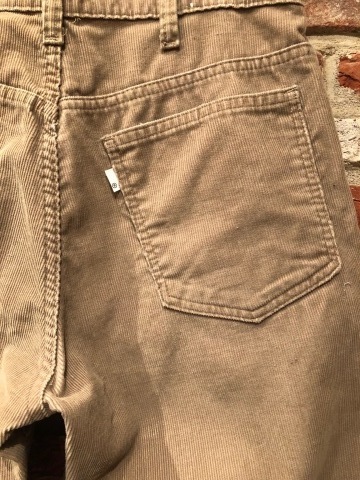 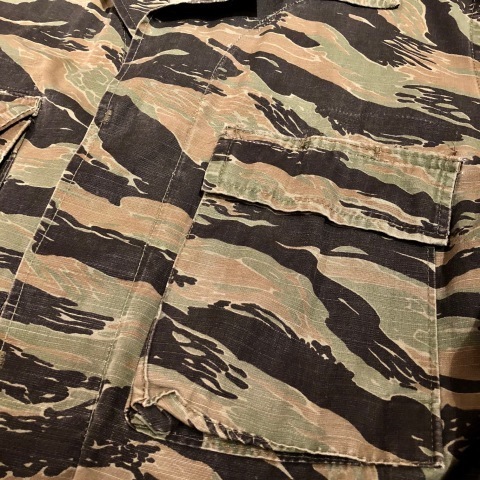 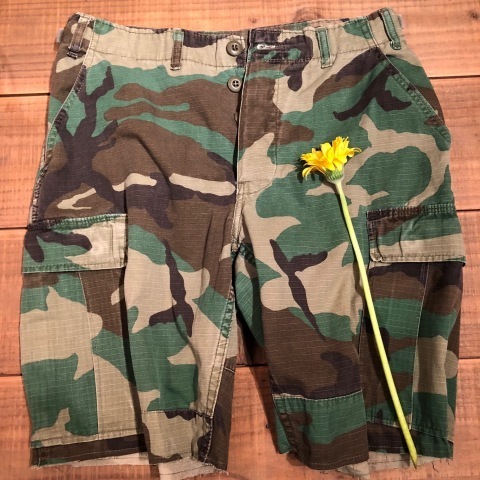 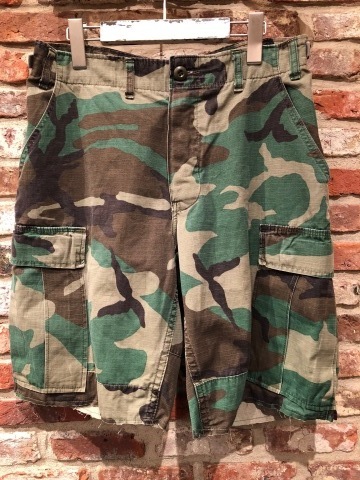 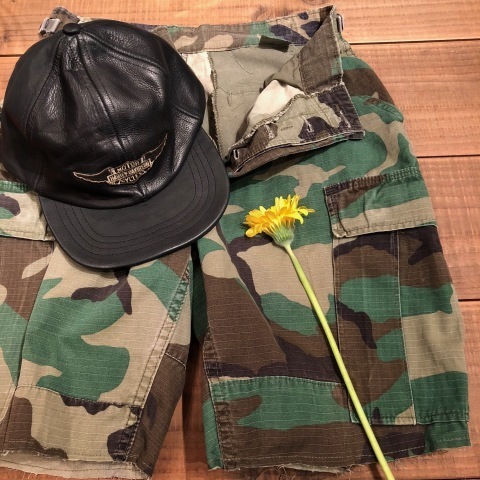 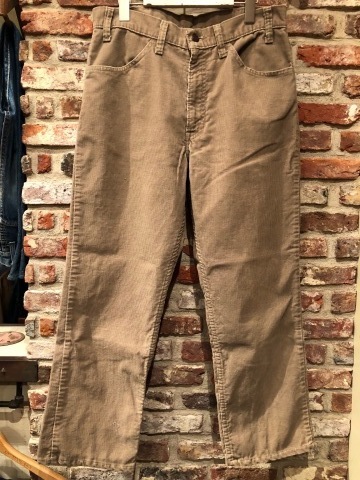 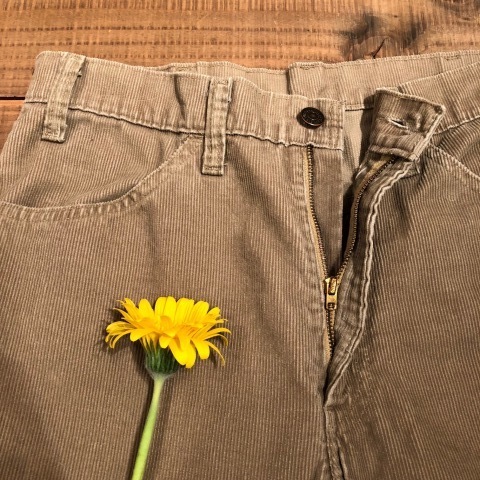 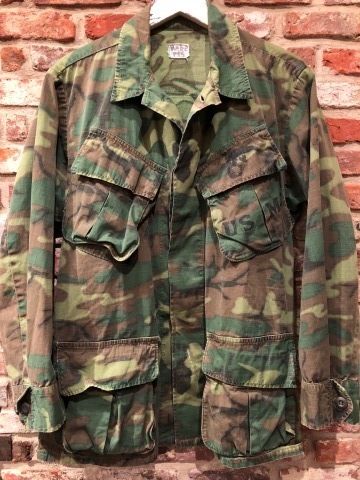 1980s " U.S ARMY " 100% cotton R/S - WOODLAND CAMO - D.I.Y CARGO SHORTS . 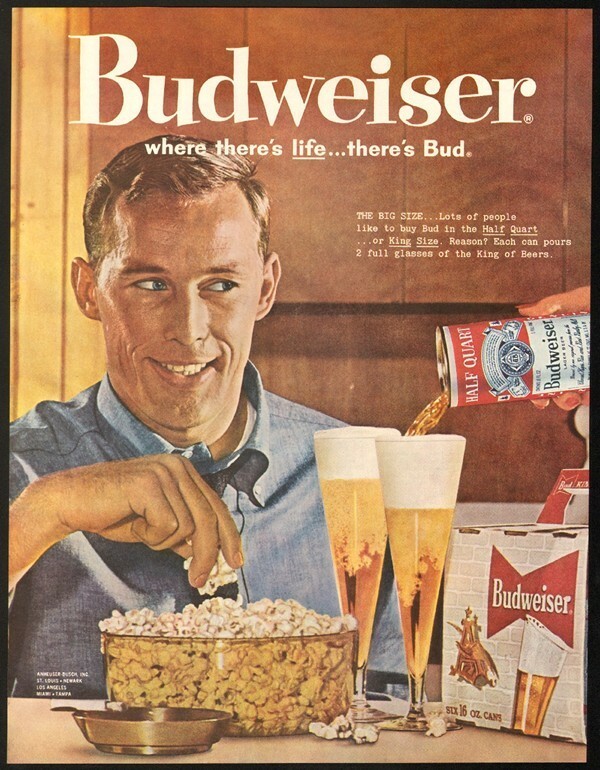 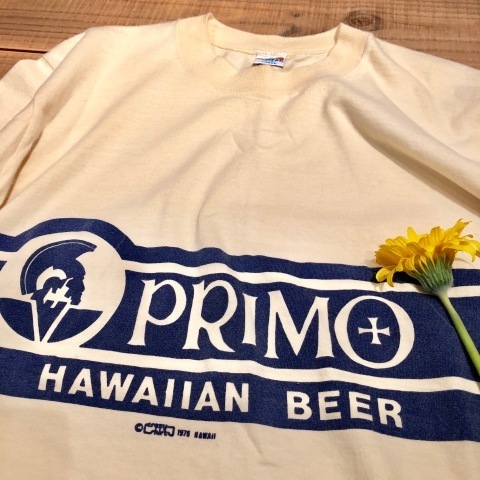 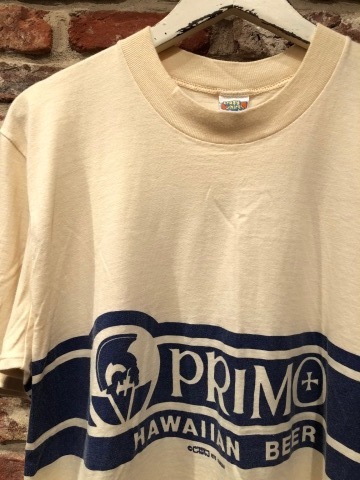 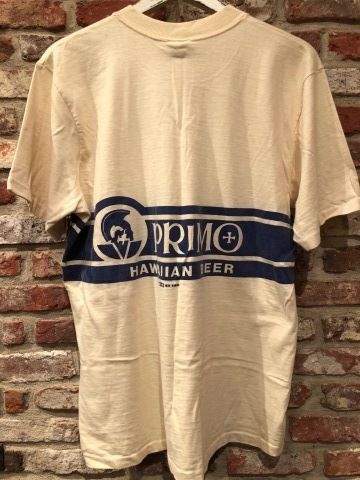 1976 " HAWAIIAN BEER - PRIMO - " 100% cotton Vintage NOVELTY Tee SHIRTS . 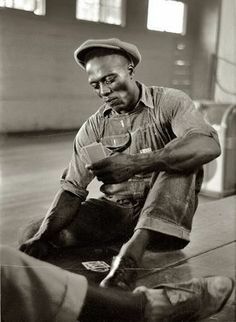 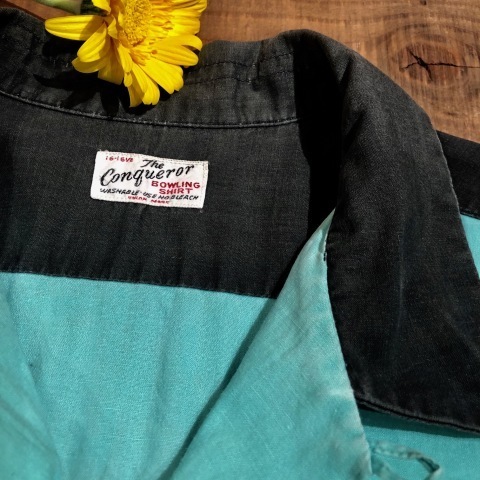 1950s " The conqueror - BOWLING SHIRTS - " 100% cotton TWO-TONE VINTAGE TRUCKER SHIRTS . 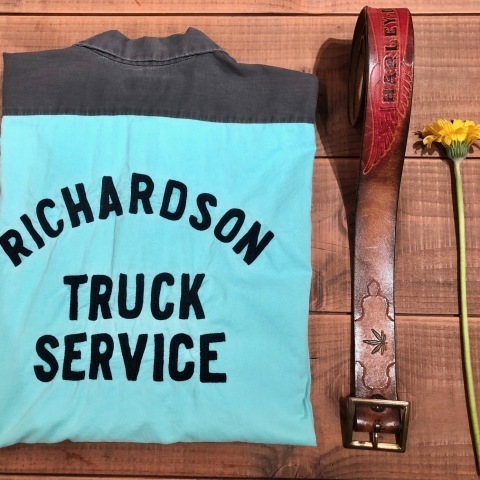 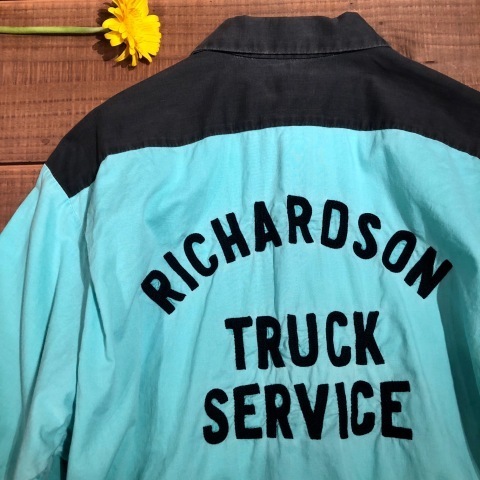 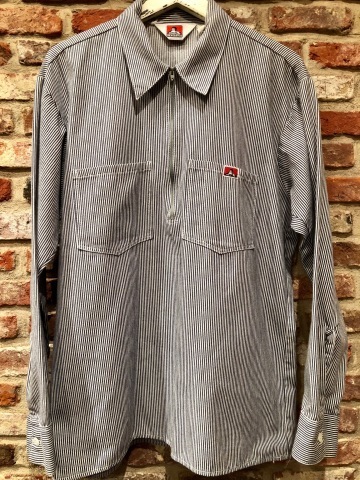 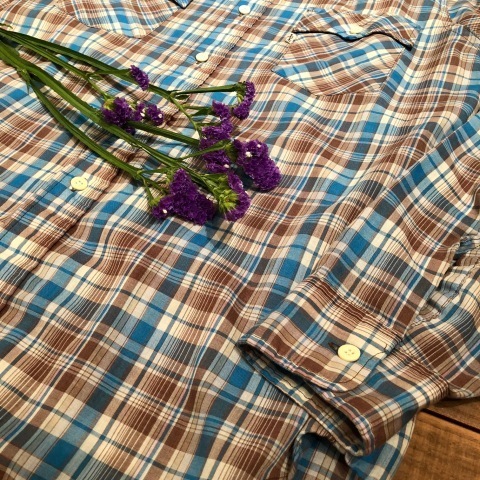 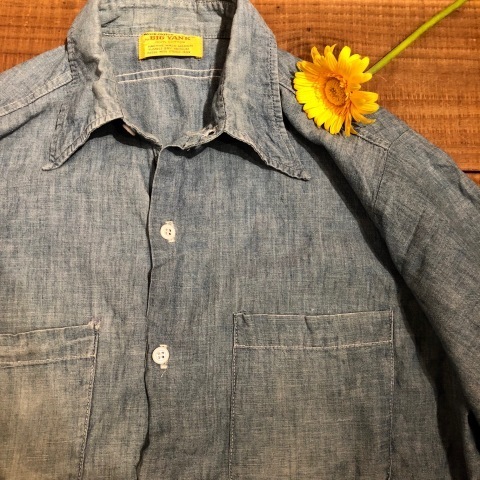 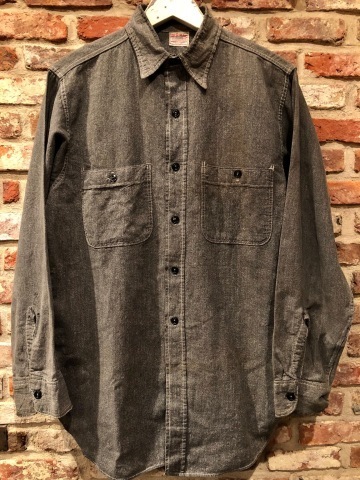 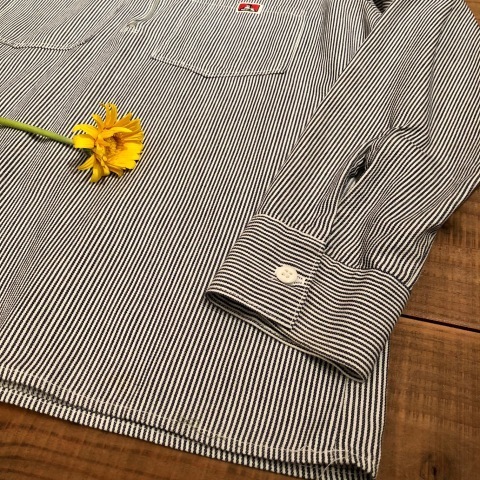 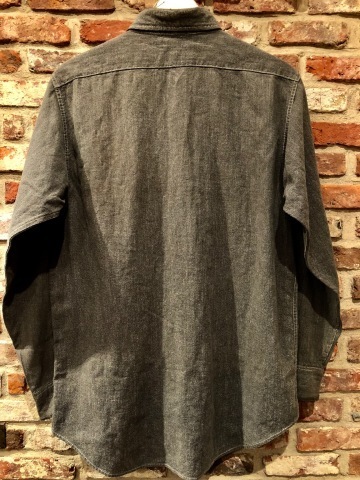 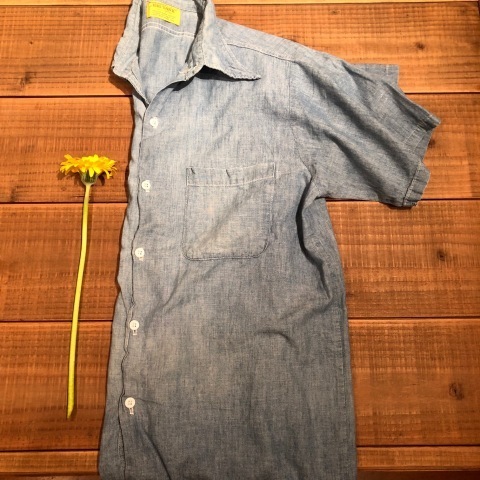 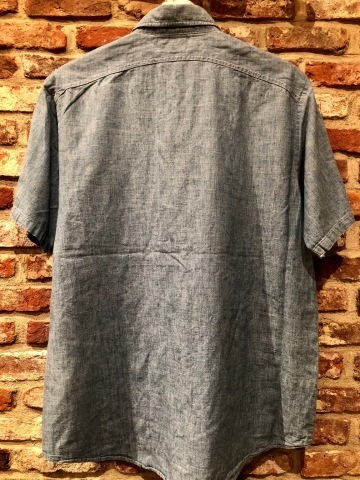 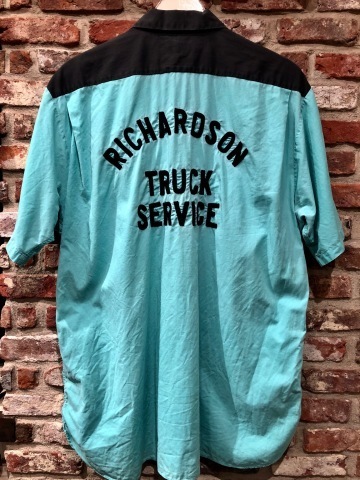 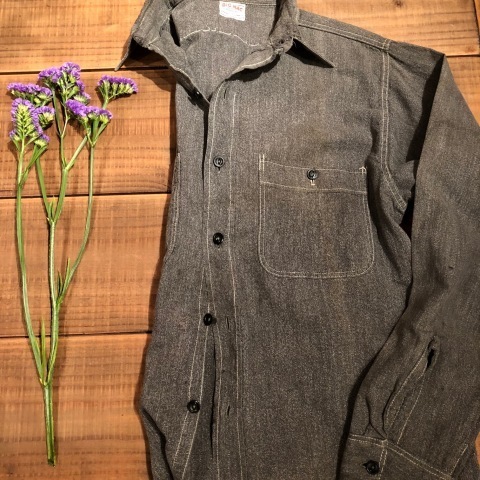 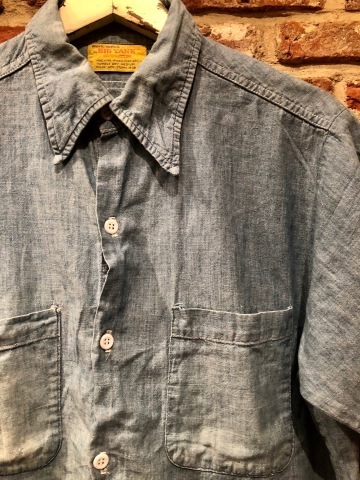 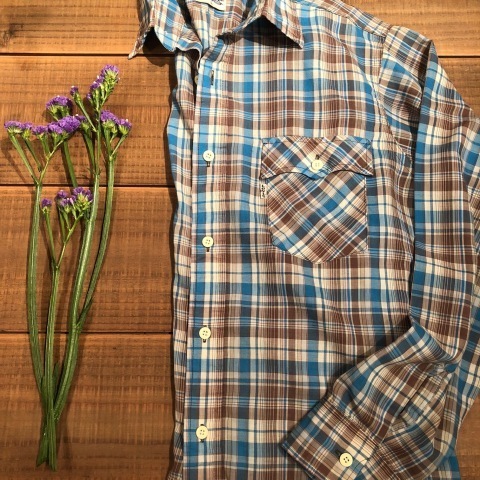 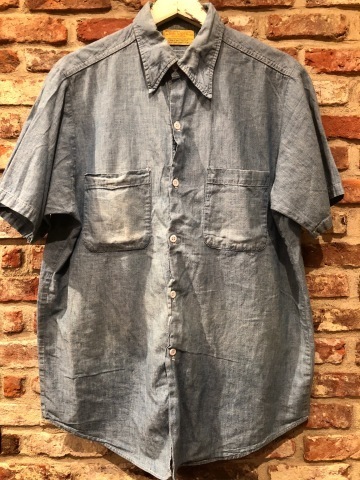 1970s " BIG YANK " 100% cotton S/S CHAMBRAY WORK SHIRTS . 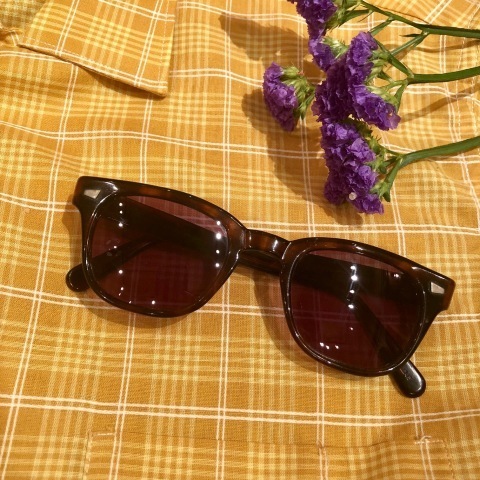 Welcome ，" CAL DEAN " - Hello SPRING ＆ Early SUMMER 2018 - Ⅶ .
Welcome，" CAL DEAN " - Hello SPRING ＆ Early SUMMER 2018 - Ⅴ . 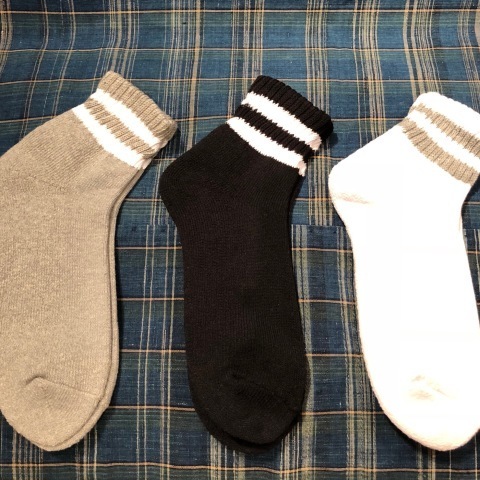 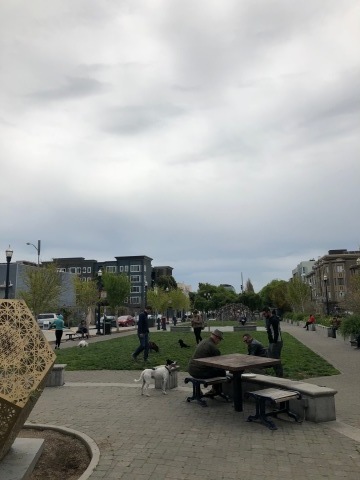 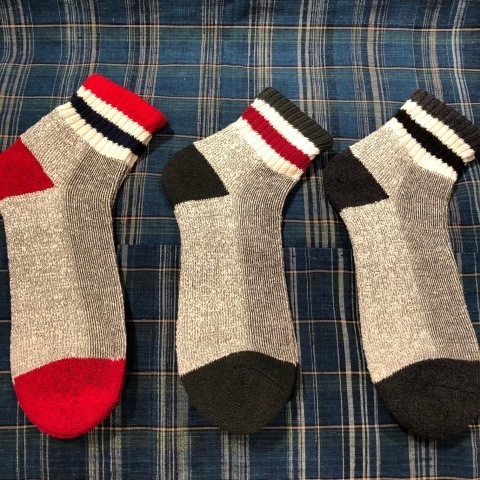 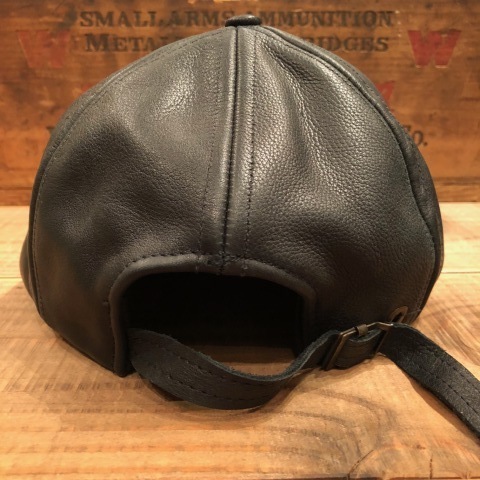 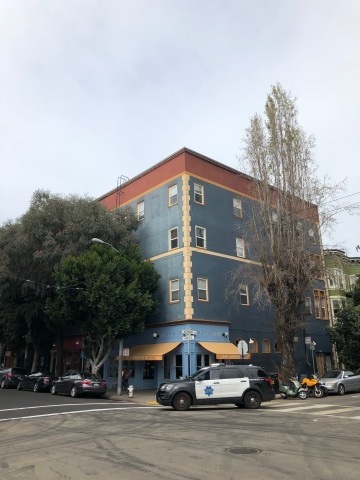 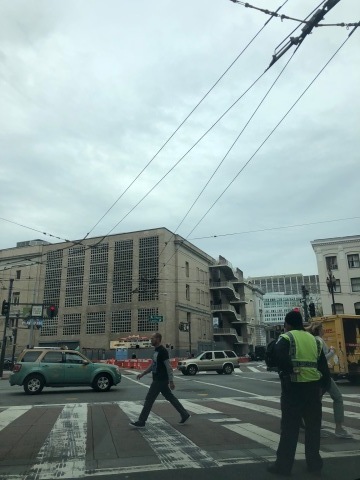 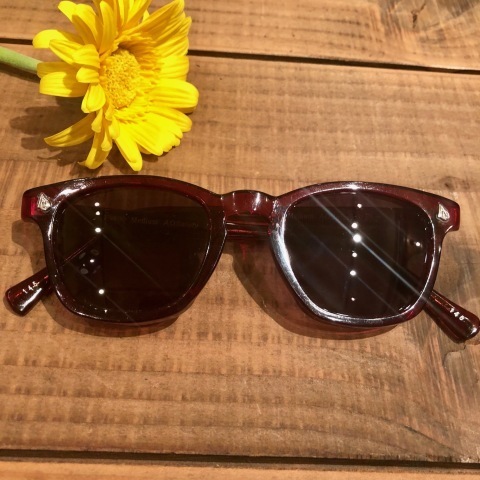 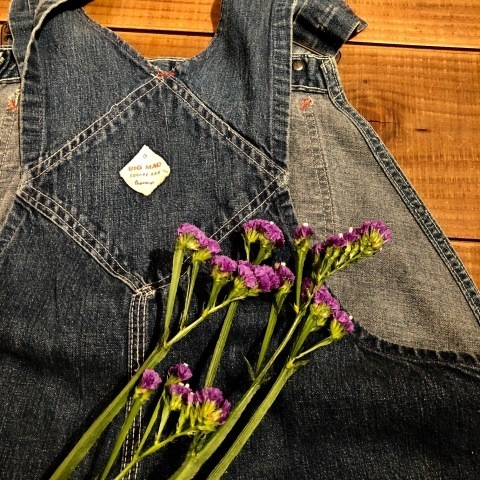 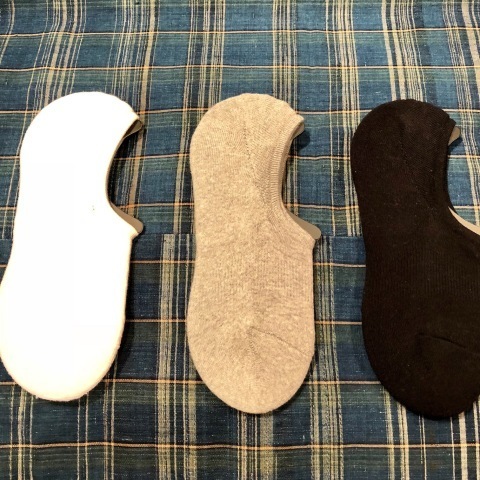 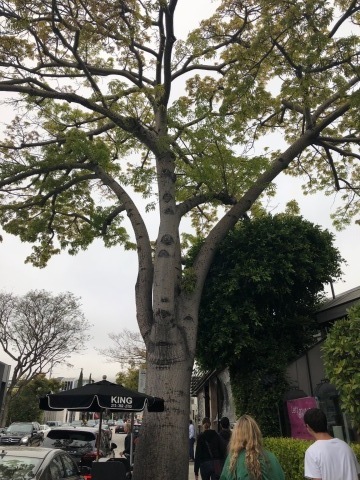 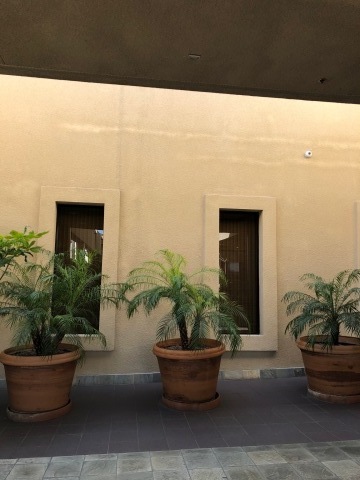 Welcome, " CAL DEAN " - Hello SPRING ＆ Early SUMMER 2018 - Ⅳ .
Welcome，" CAL DEAN " - Hello SPRING ＆ Early SUMMER 2018 - Ⅲ .
Welcome，" CAL DEAN " - Hello SPRING ＆ Early SUMMER 2018 - Ⅱ .
" 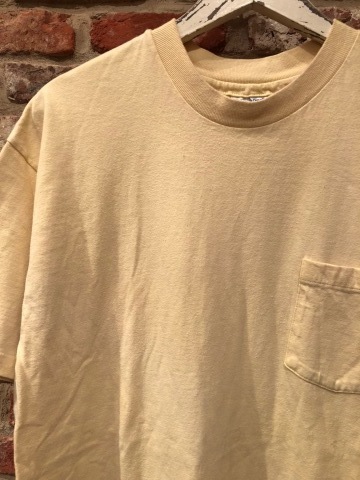 CAL DEAN " - BUYING TRIP - somewhere WEST COAST １ .
" 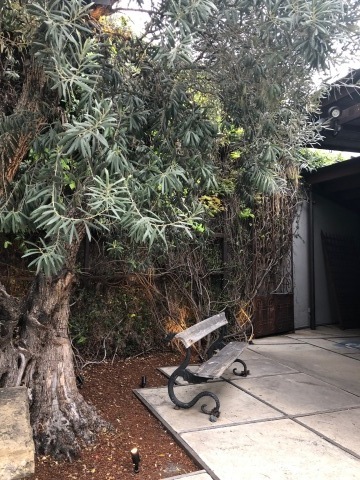 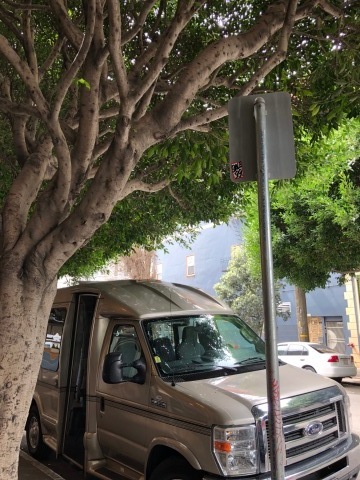 CAL DEAN " - BUYING TRIP - somewhere WEST COAST ２ .
" 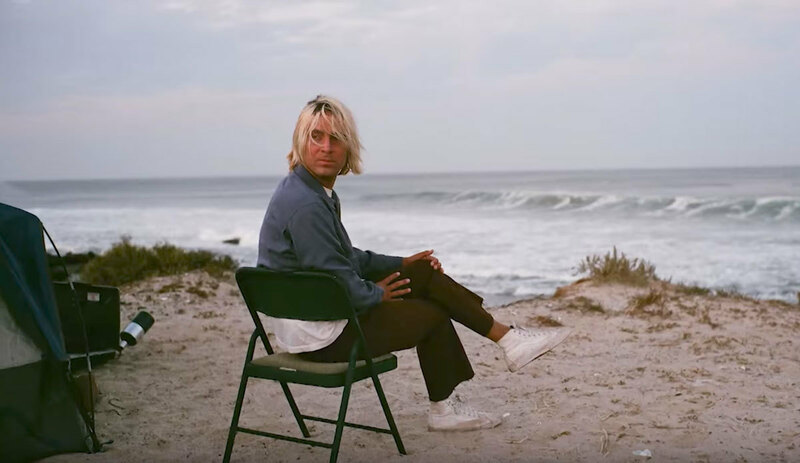 CAL DEAN " - BUYING TRIP - somewhere WEST COAST ３ .
" 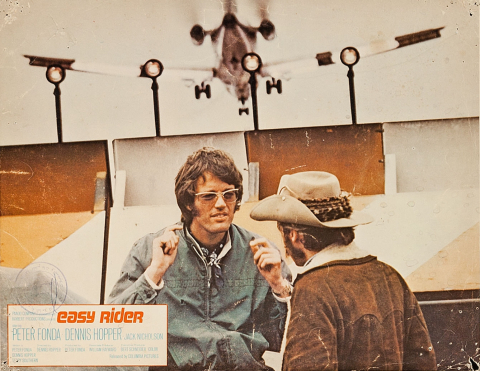 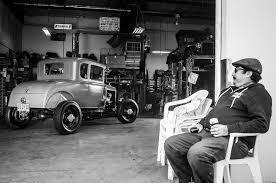 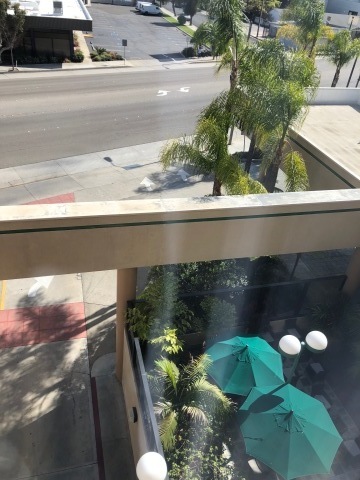 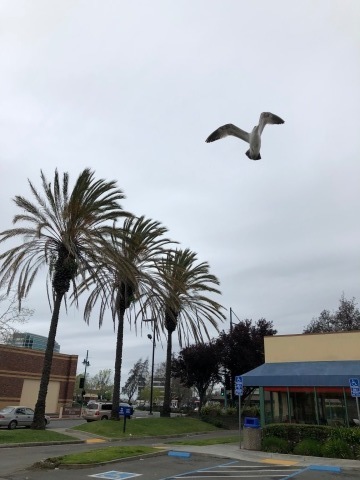 CAL DEAN " - BUYING TRIP - somewhere WEST COAST ５ .
" 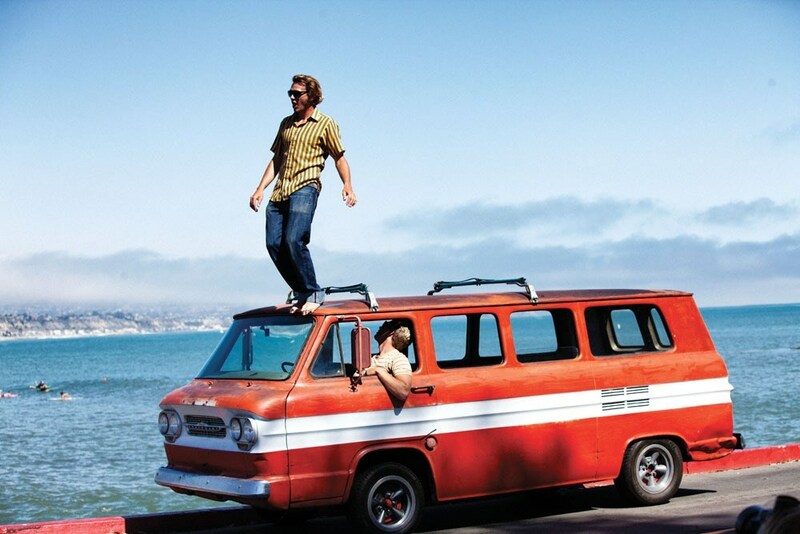 CAL DEAN " - BUYING TRIP - somewhere WEST COAST ６ .
" 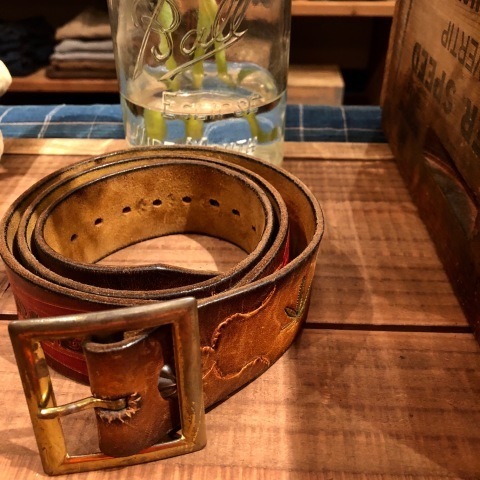 CAL DEAN " - BUYING TRIP - somewhere WEST COAST １０ .
" 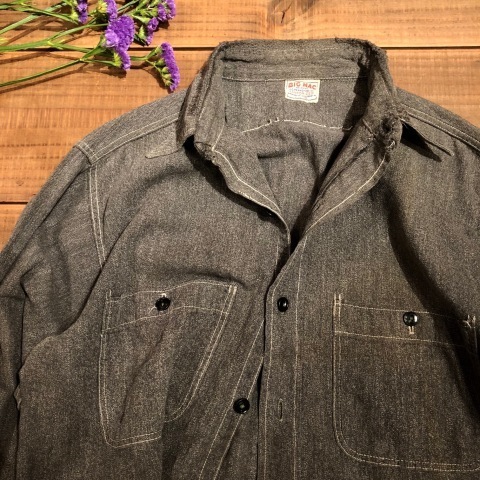 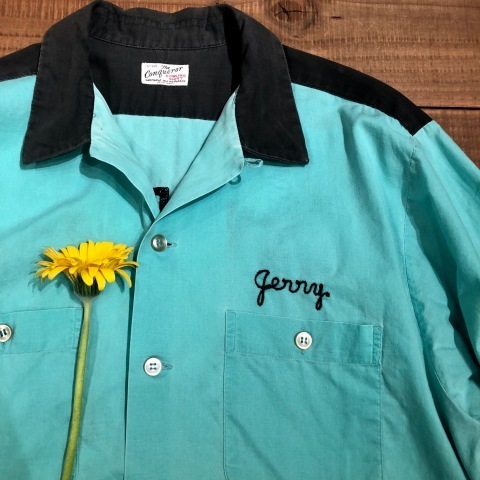 BIG MAC - J.C PENNEY'S CO. INC - "
1950s " BIG MAC -J.C PENNEY'S CO.INC- "
BRAND : 1950s " BIG MAC -J.C PENNEY'S CO.INC- "
- BLACK CHAMBRAY - WORK SHIRTS . 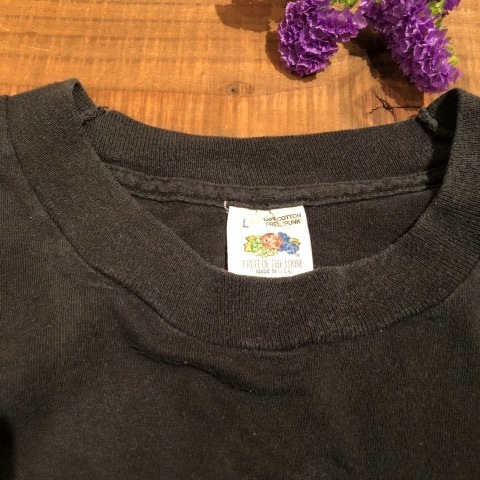 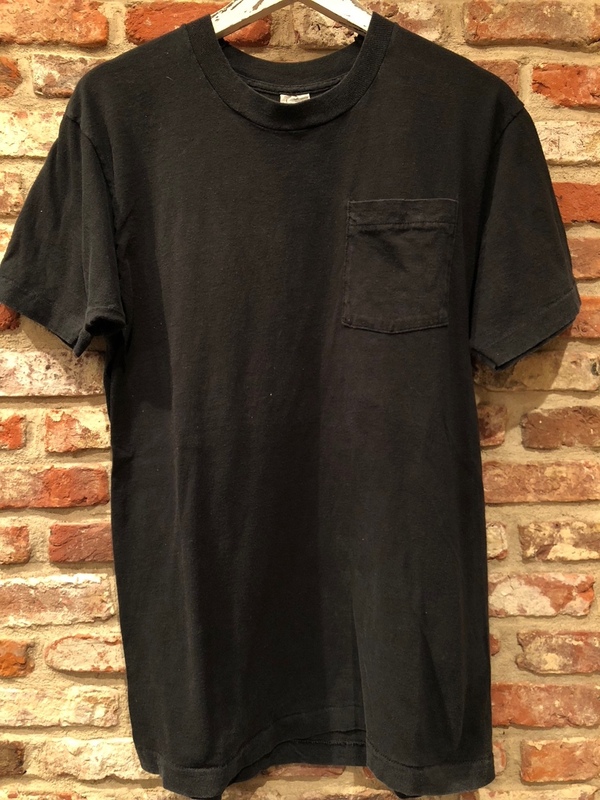 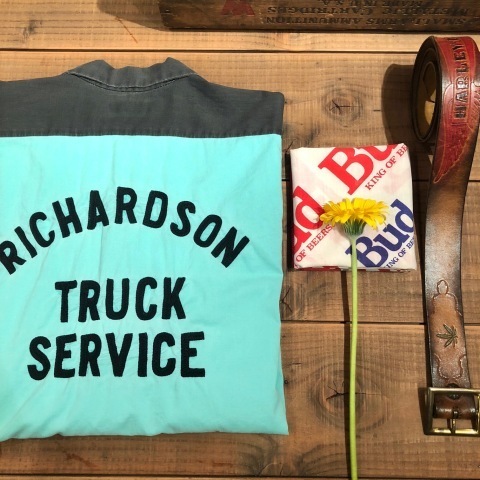 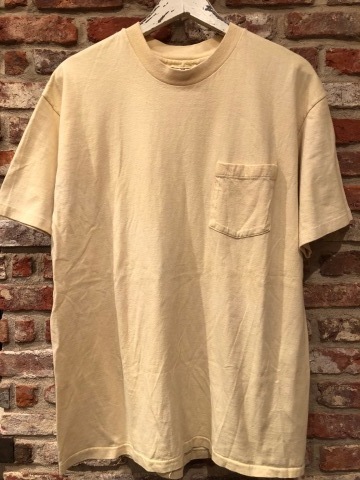 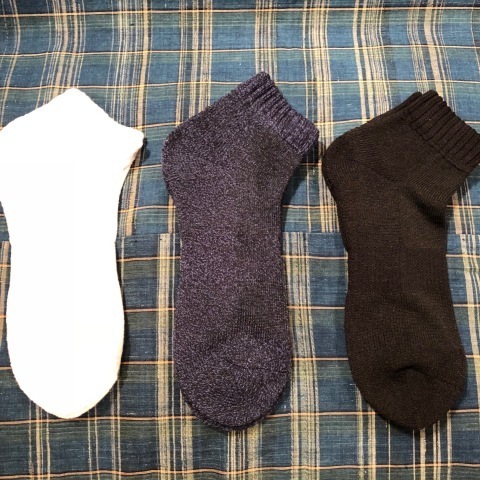 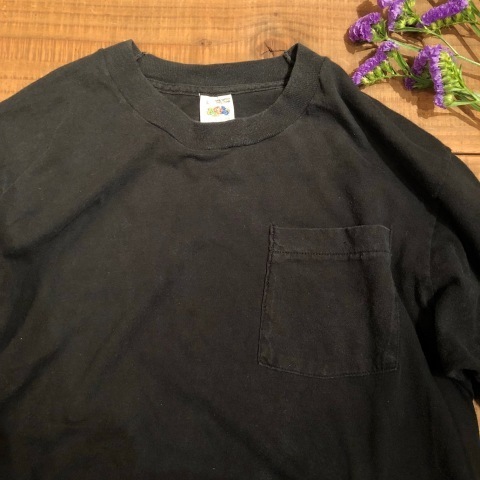 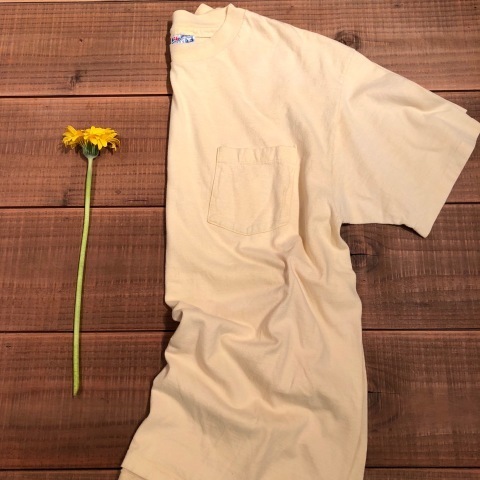 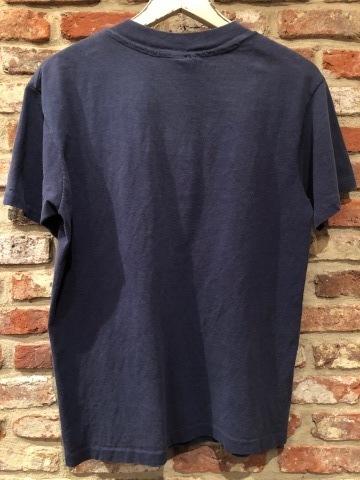 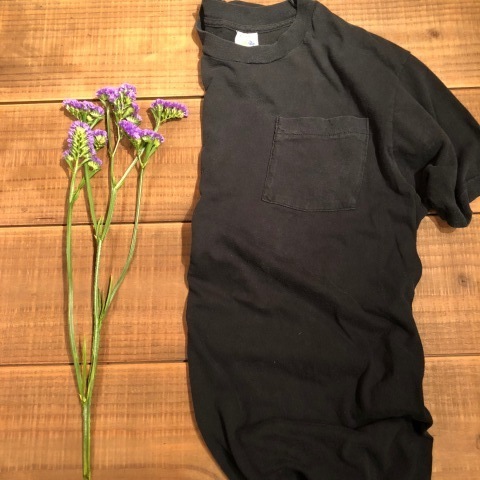 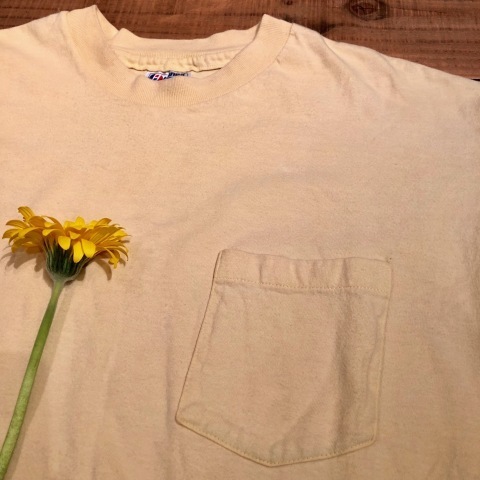 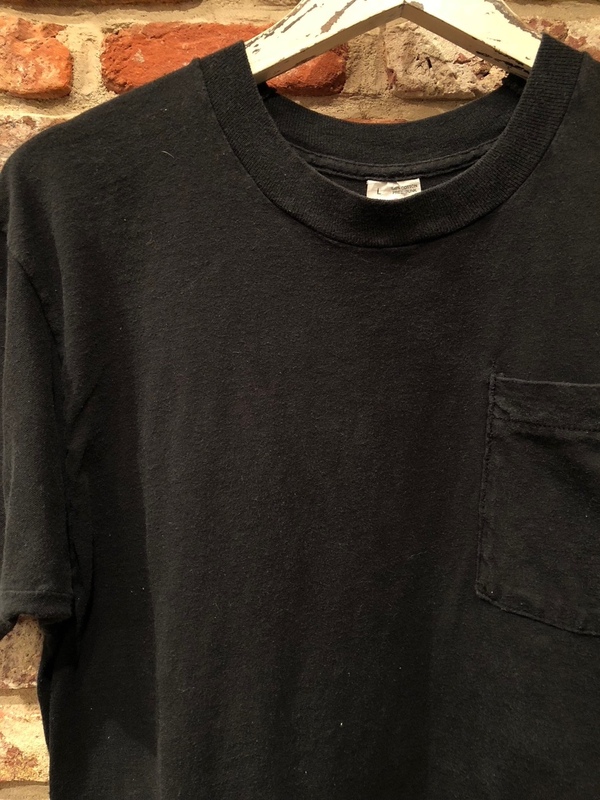 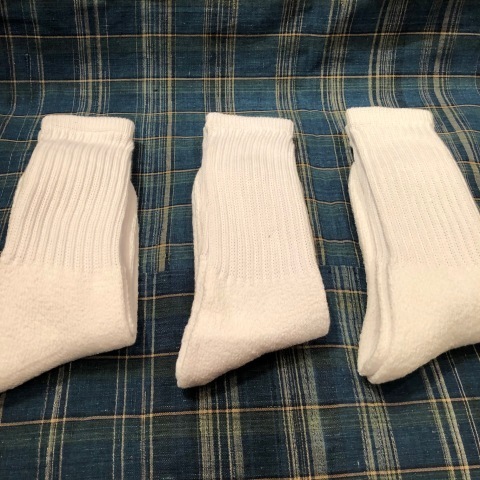 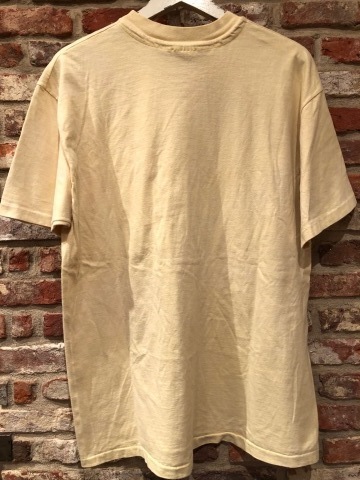 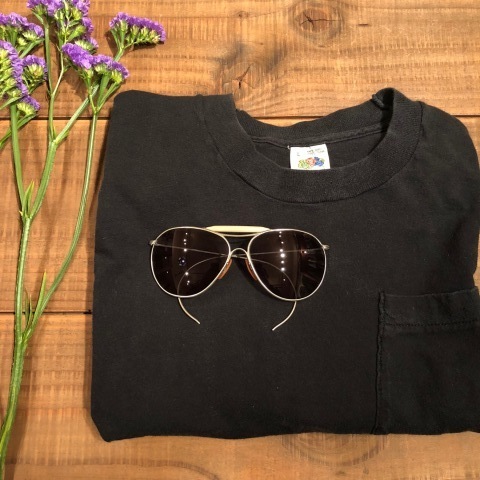 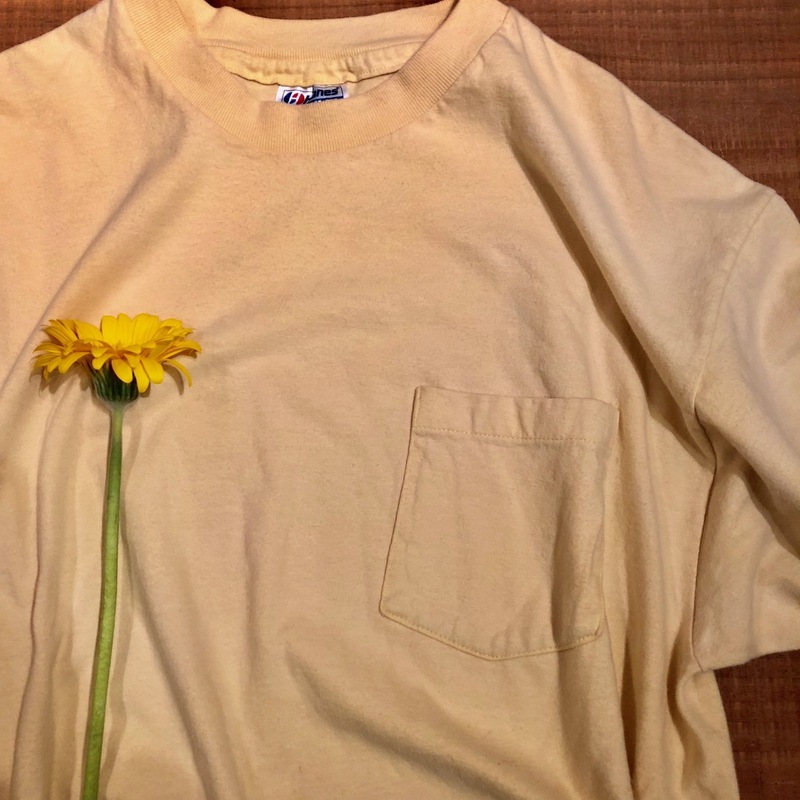 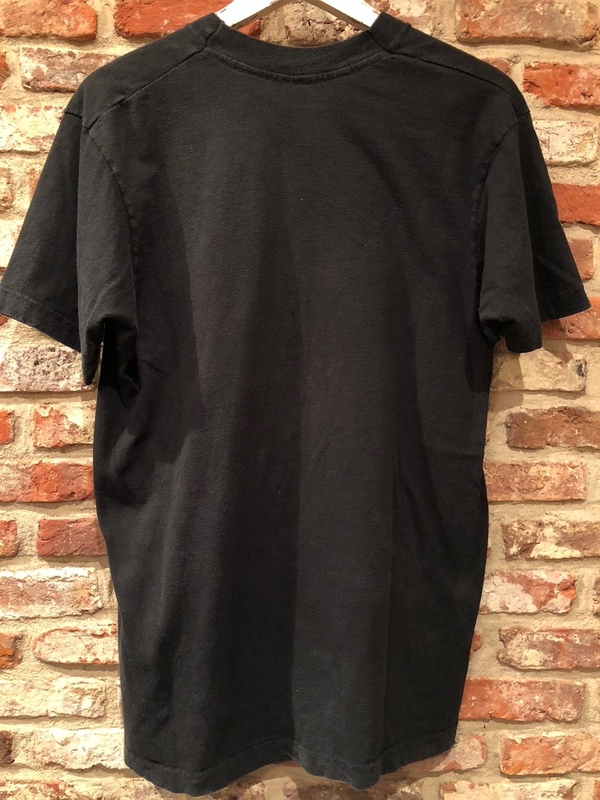 OLD POCKET Tee SHIRTS . 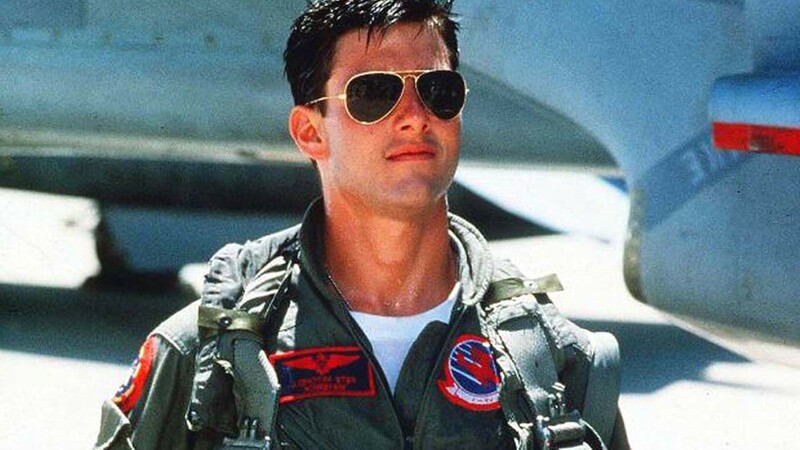 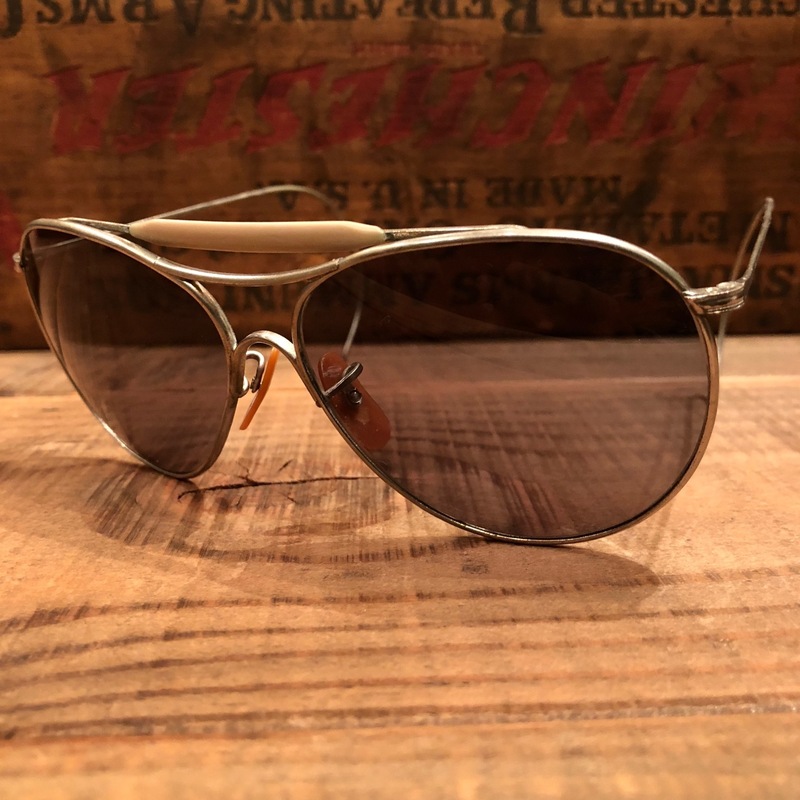 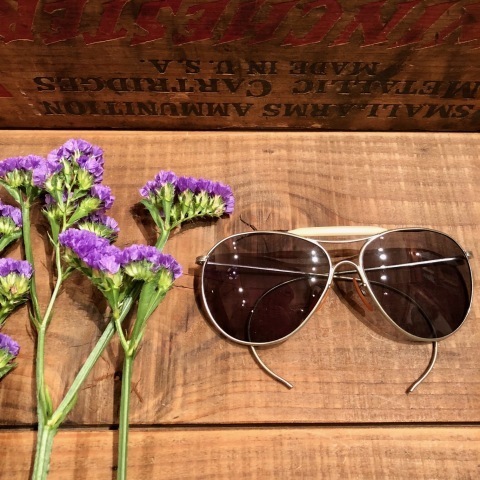 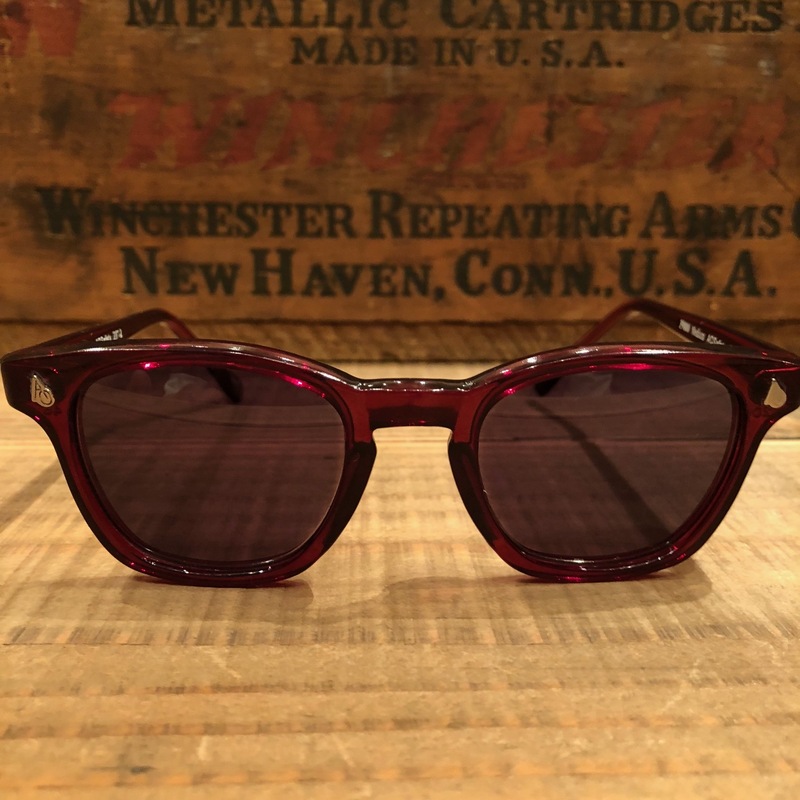 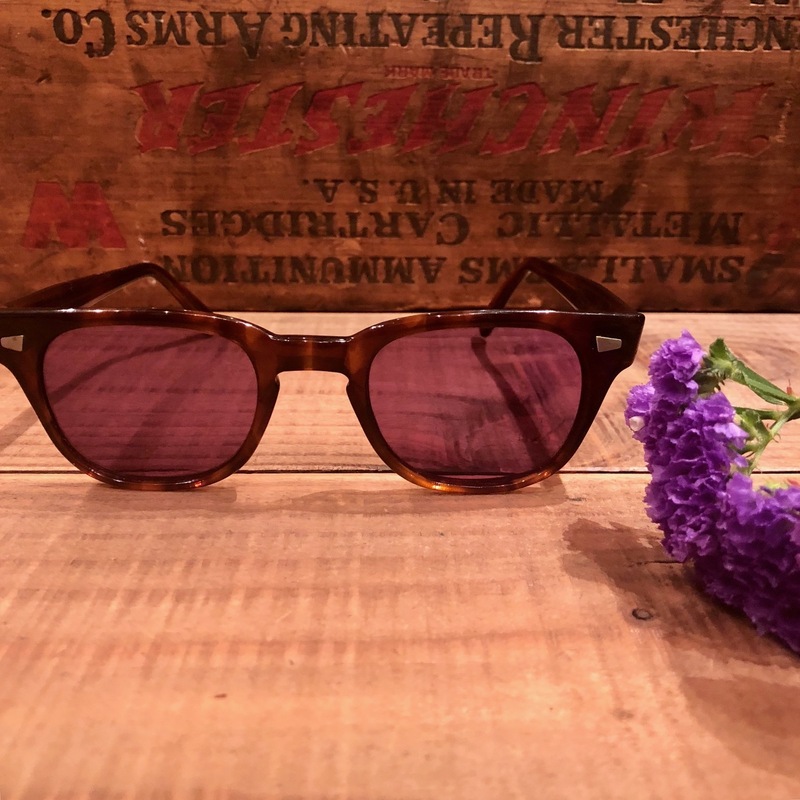 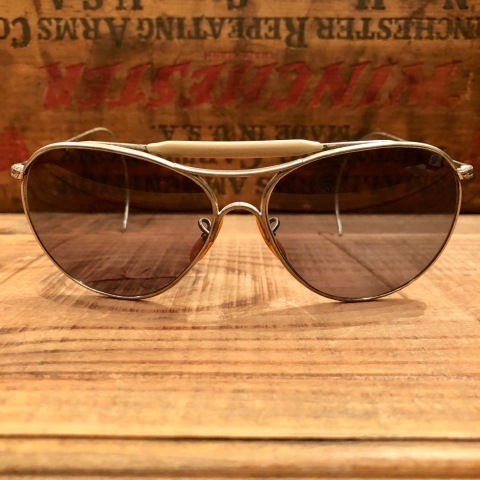 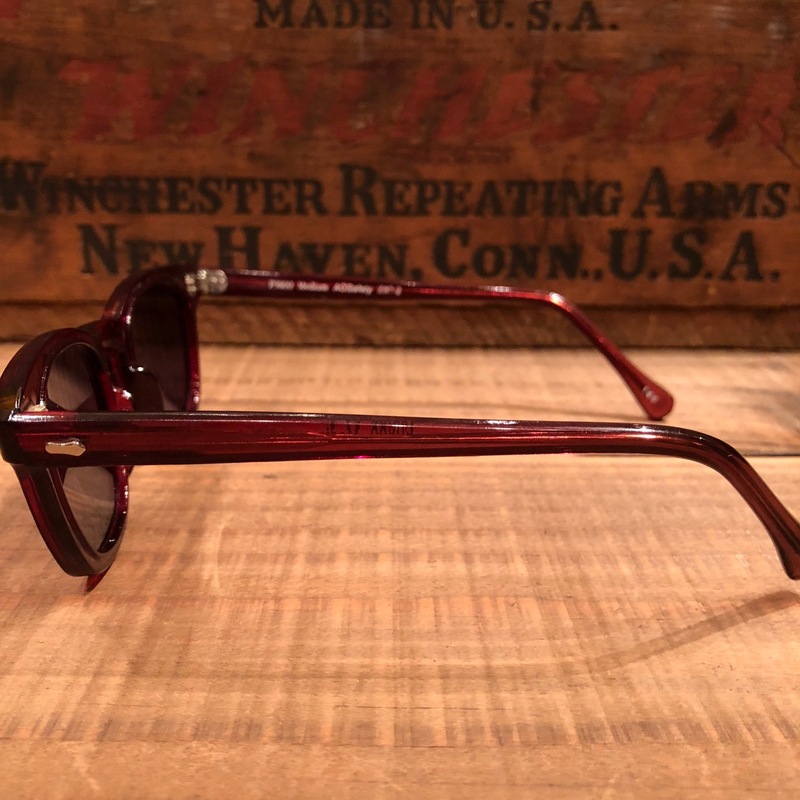 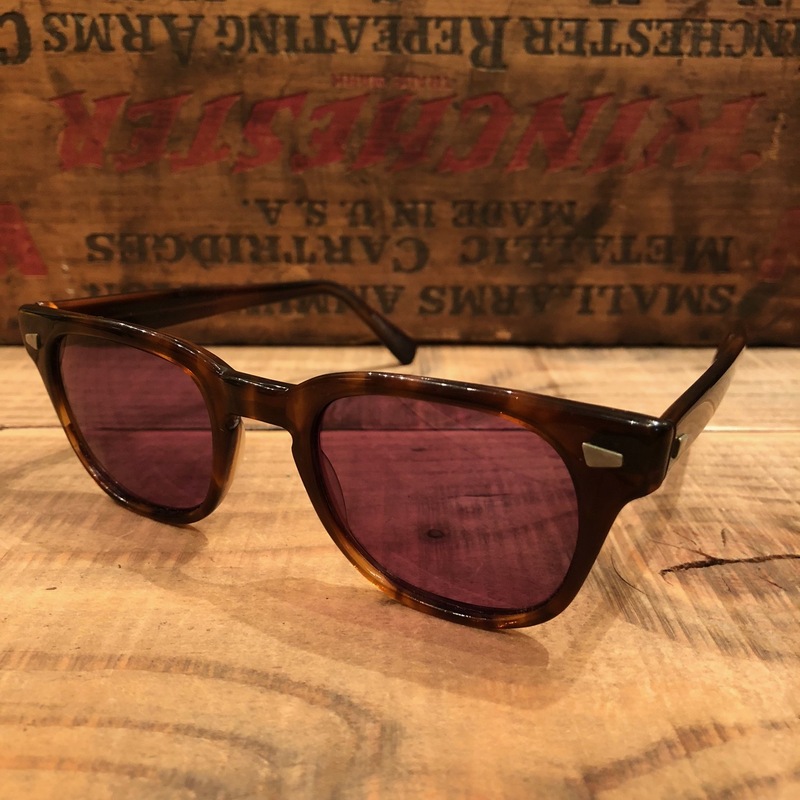 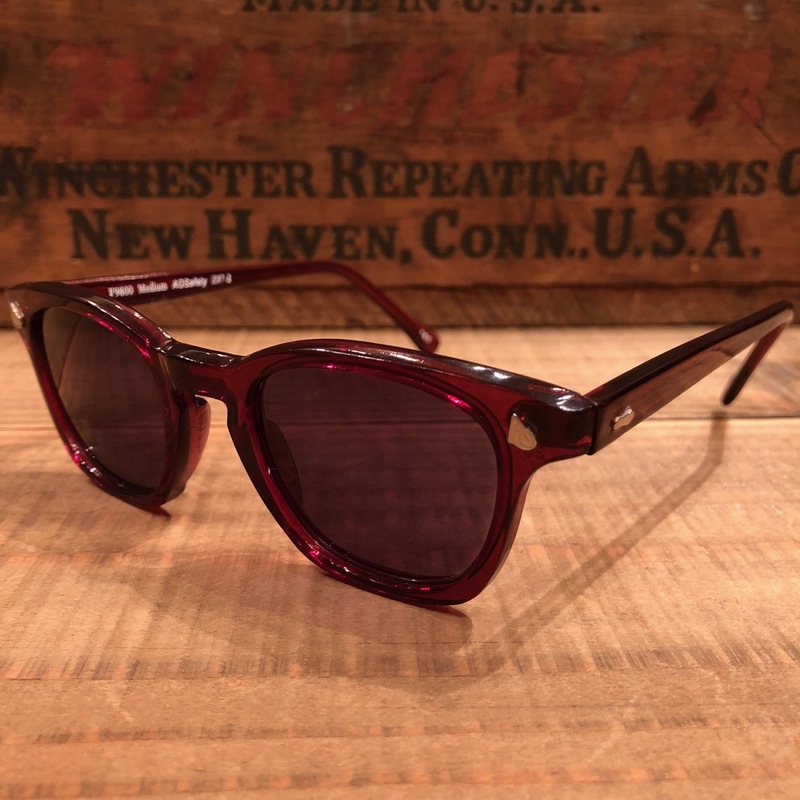 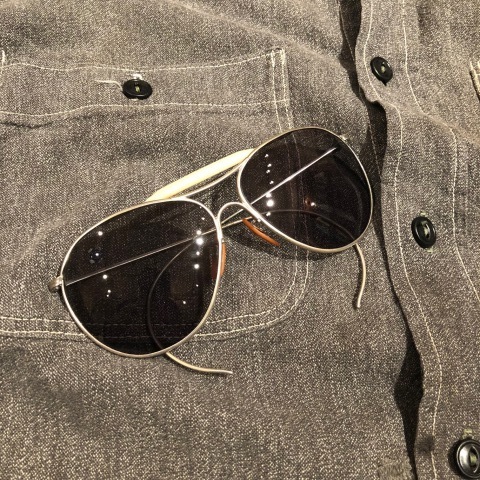 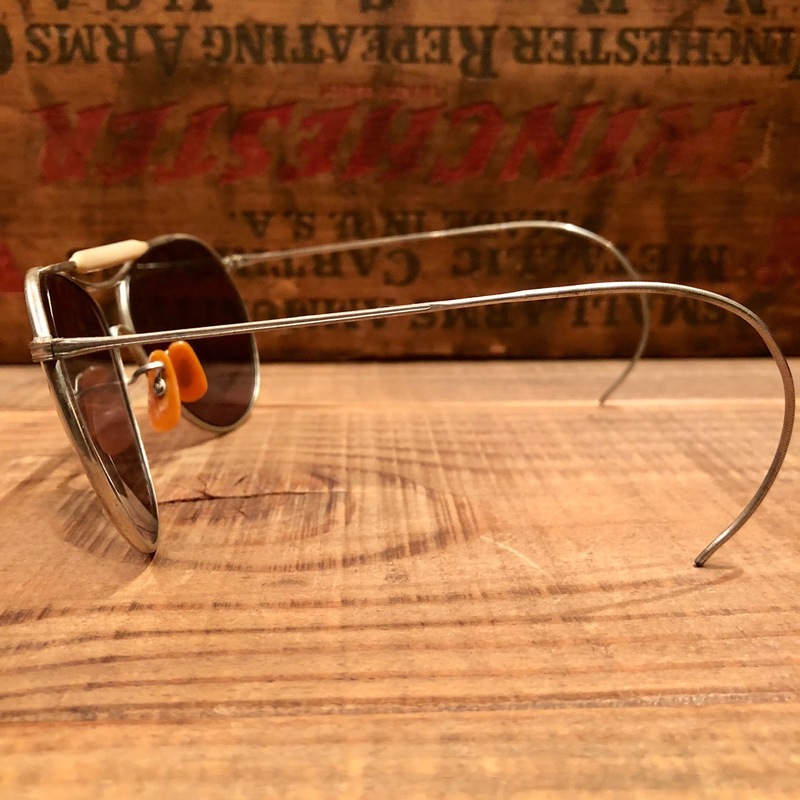 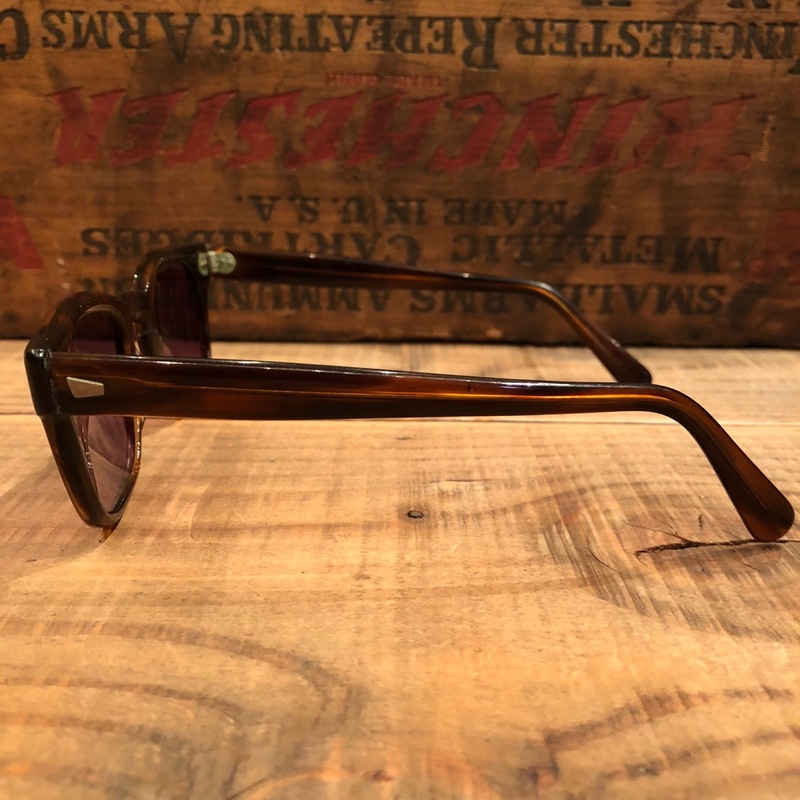 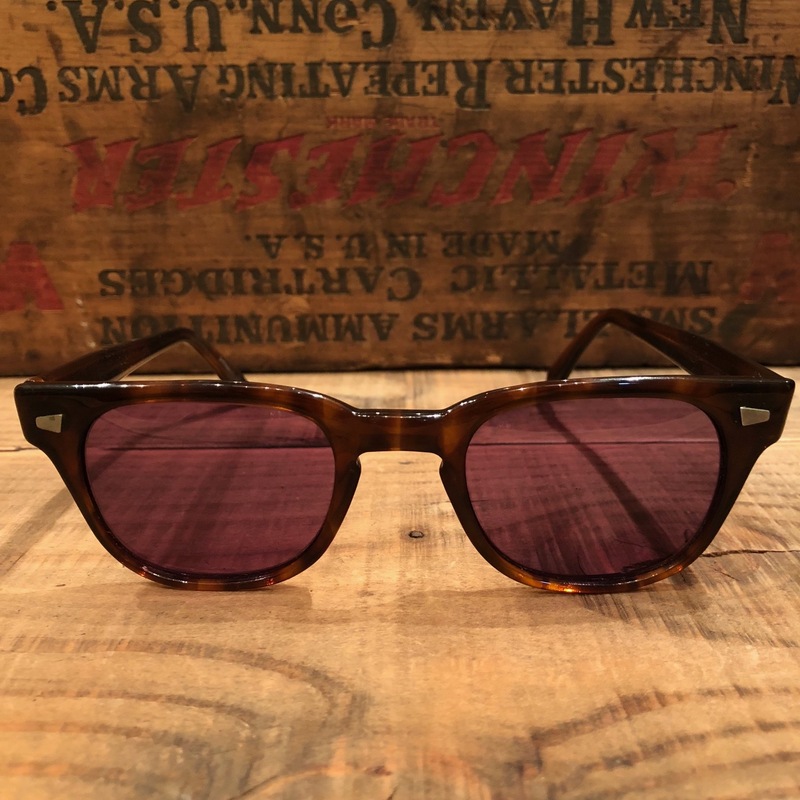 1940s " American Optical "
BRAND ：1940s " Amercian Optical "
VINTAGE - AVIATOR - SUN GLASSES . 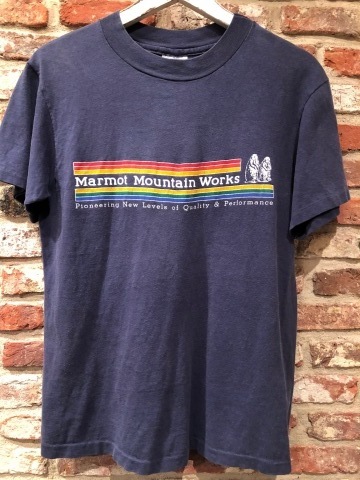 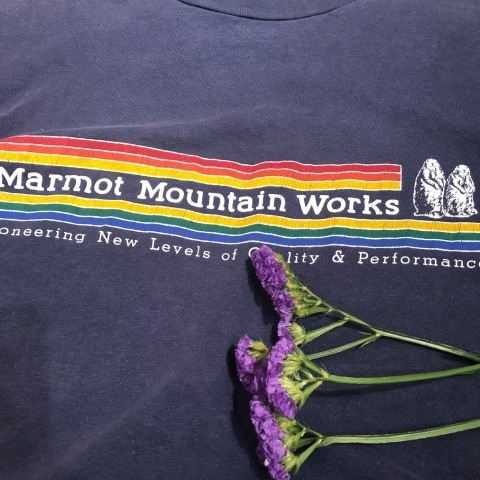 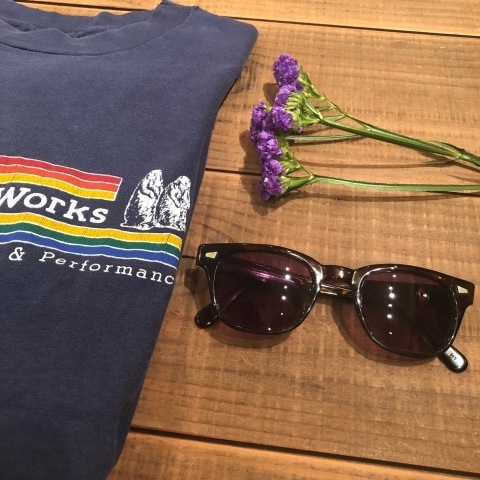 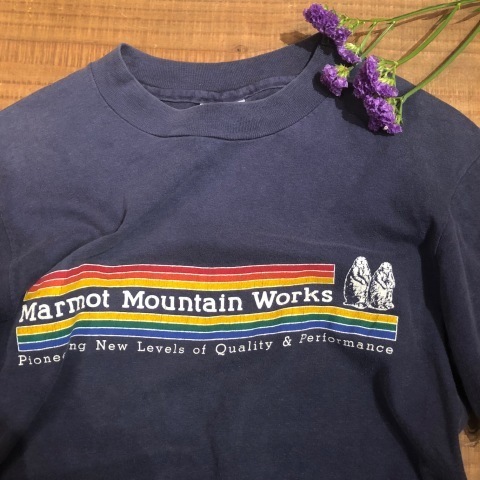 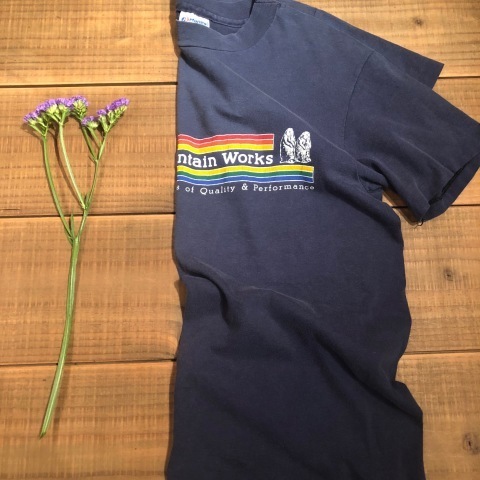 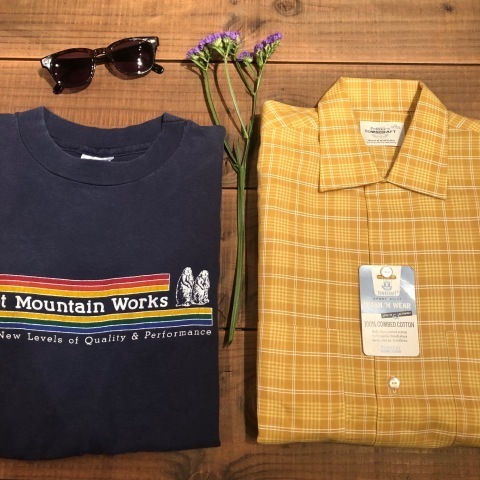 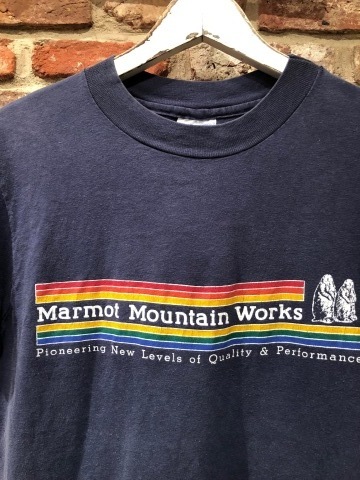 １９６０ｓ " PENNEY'S - Town Craft - "
1980s " Marmot mountain work "
ITEM : " Marmot mountain works "
VINTAGE -OUT DOOR- Tee SHIRTS . 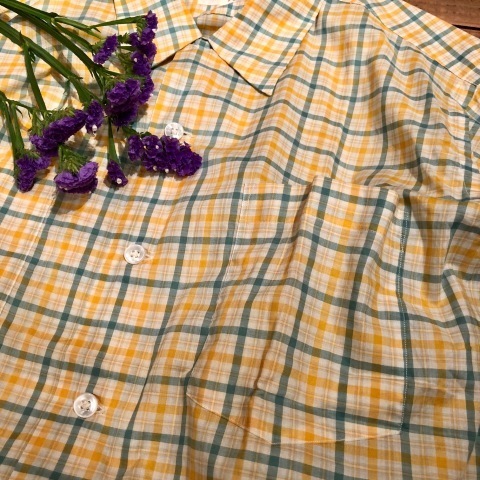 BRAND : 1960s " FOREMOST "
1960s " PENNEY'S -TOWN CRAFT- "
BRAND : 1960s " PENNEY'S -TOWN CRAFT- "
VINTAGE BOX-TAIL CH SHIRTS . 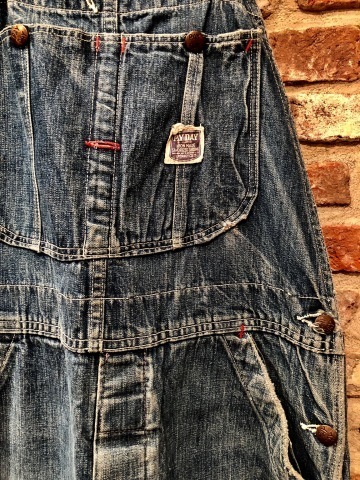 1960s " BIG-MAC PENNEY'S "
BRAND : 1960s " BIG-MAC PENNEY'S "
ITEM : VINTAGE DENIM OVER ALL . 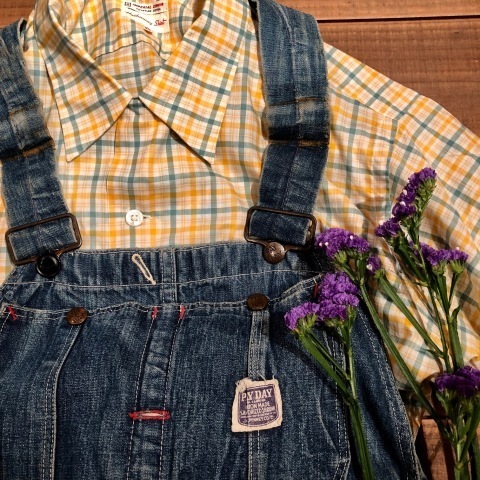 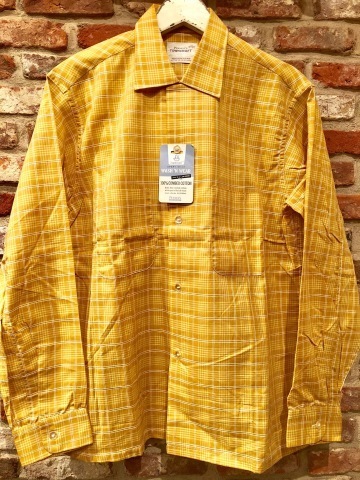 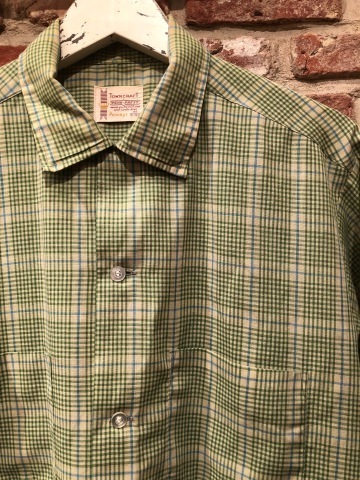 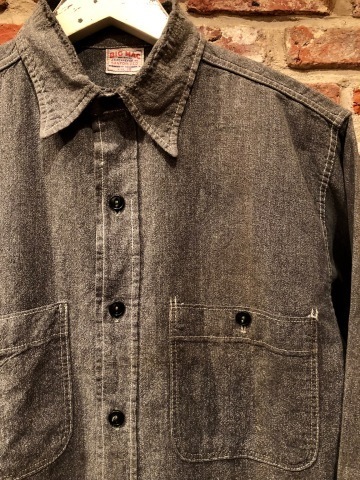 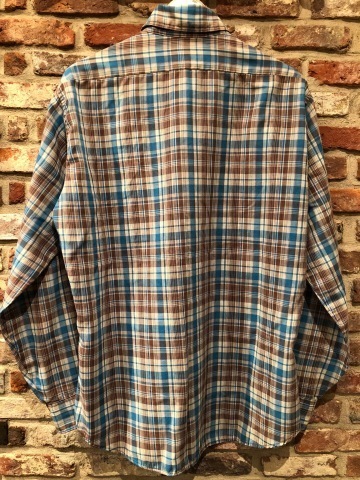 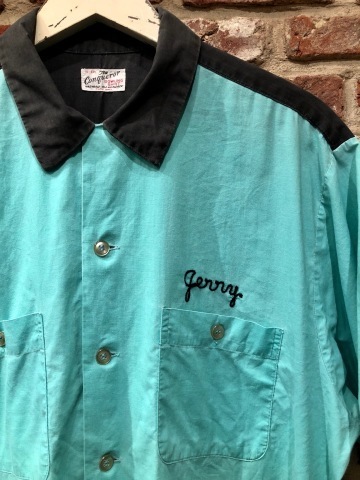 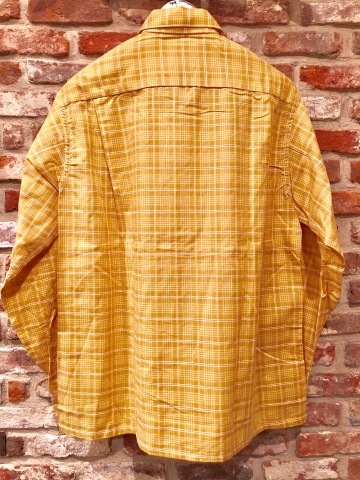 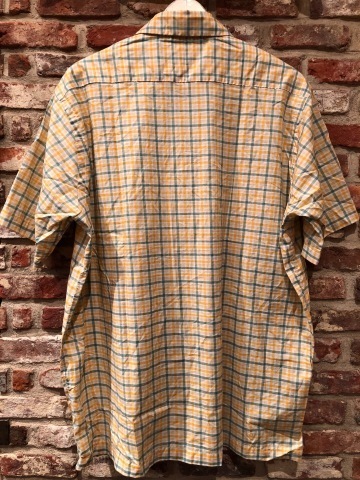 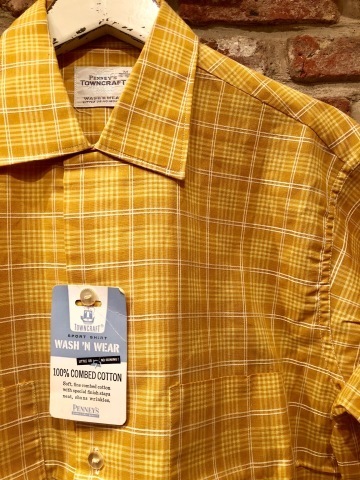 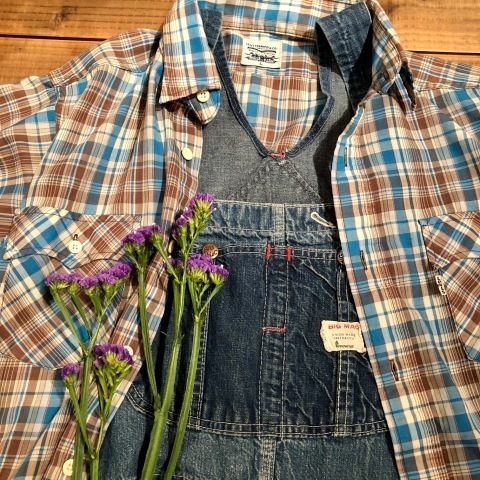 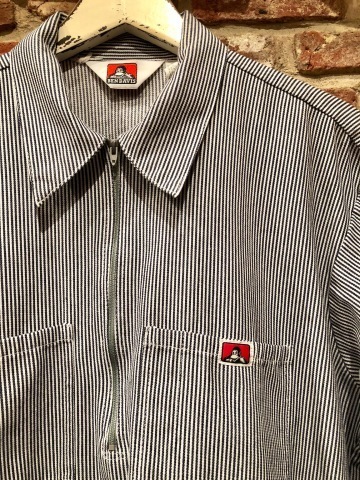 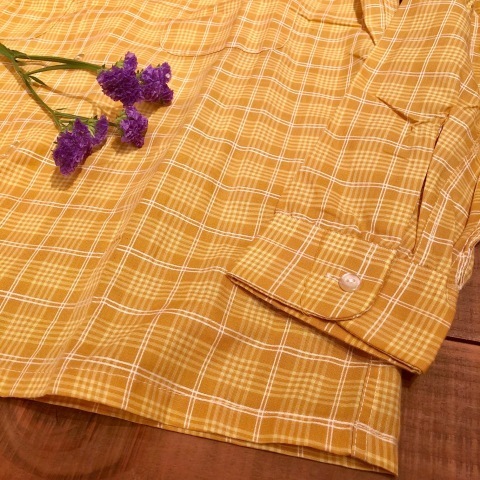 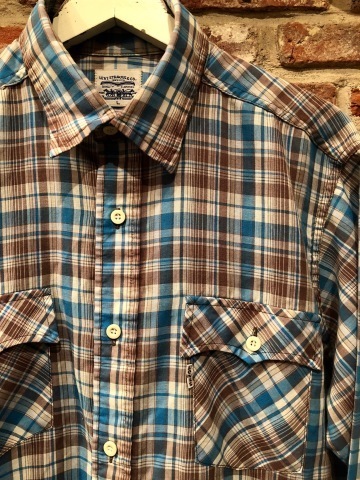 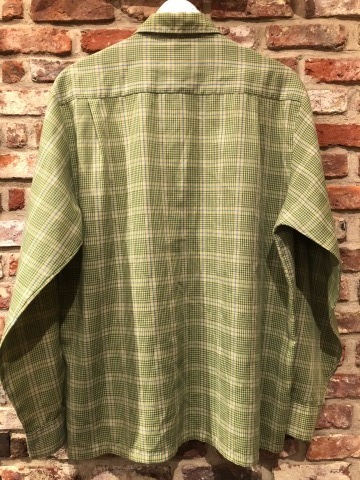 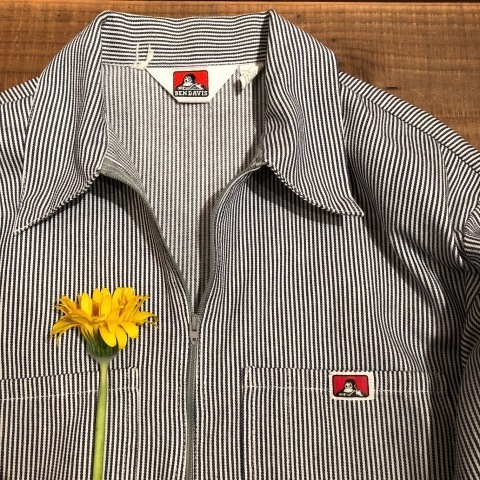 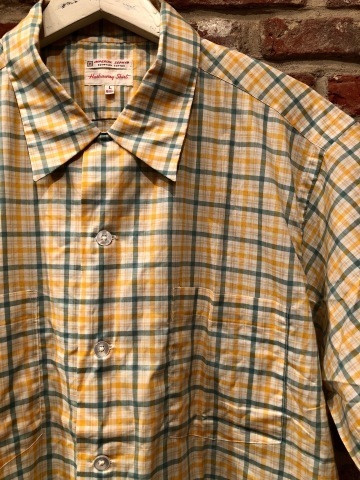 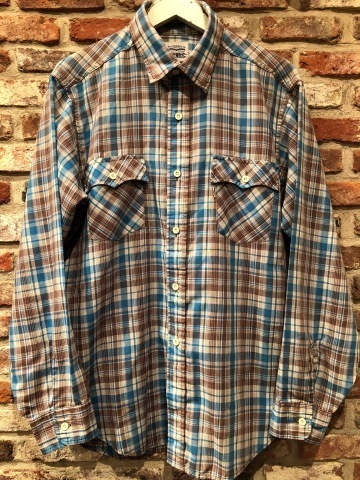 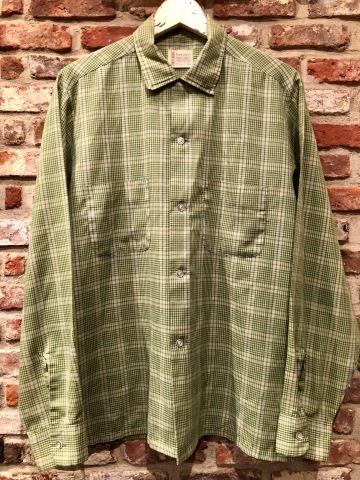 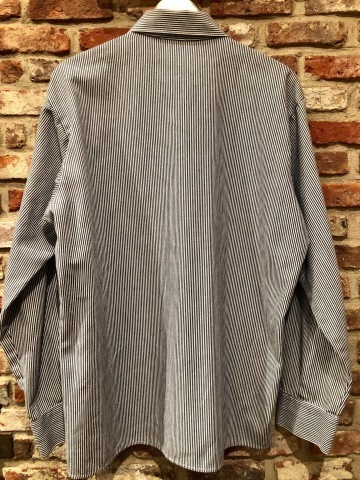 BRAND : 1980s " Levi's "
ITEM : CLASSIC L/S CHECK SHIRTS . 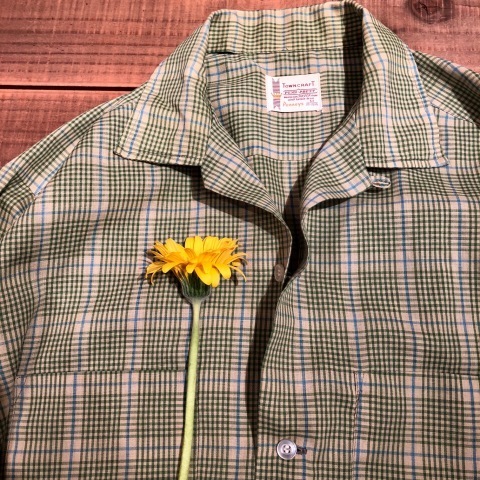 1940s " PAY-DAY PENNEY'S "
BRAND : 1940s " PAY-DAY PENNEY'S "
1950-60s " EMPERIAL ZEPHYR "
BRAND : 1950s " IMPERIAL ZEPHYR "
VINTAGE BOX-TAIL CHECK SHIRTS . 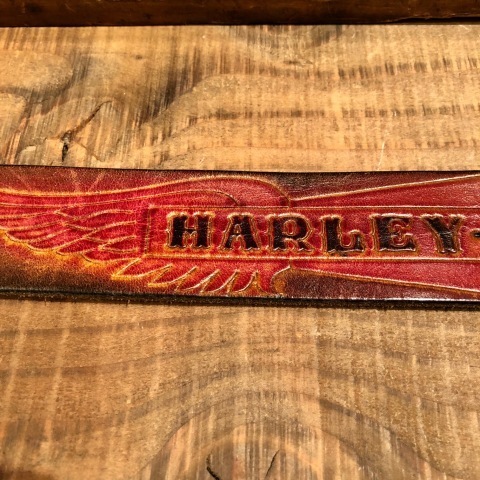 オリジナル サイズ SPEC " W38 - L30 "
1980s " HARLEY DAVIDSON "
1980s " WOODLAND CAMO "
１９８０ｓ " HARLEY DAVIDSON "
BRAND ：1980s " HARLEY DAVIDSON "
1980s " BEN DAVIS "
BRAND : 1980s " BEN DAVIS "
1980s " U.S ARMY "
BRAND : 1980s " U.S ARMY "
6POCKET - D.I.Y - CARGO SHORTS . 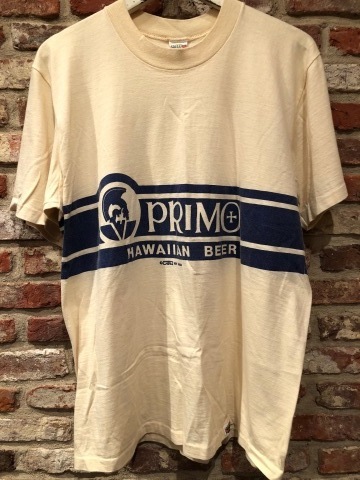 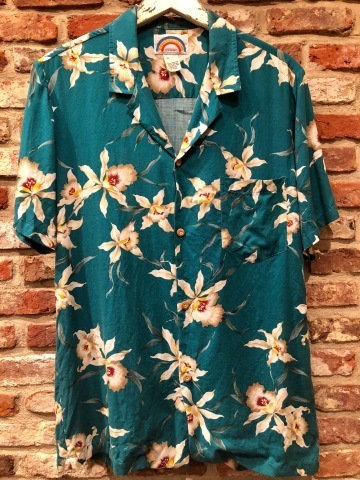 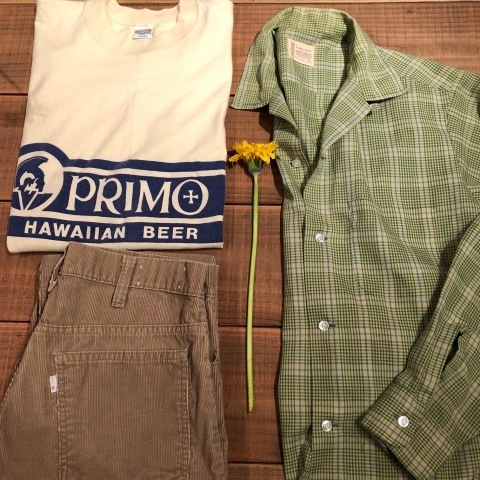 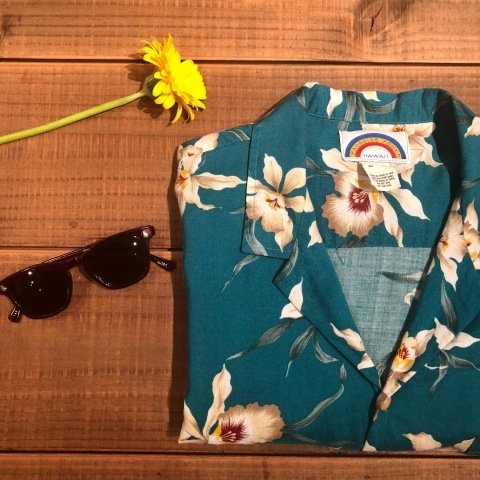 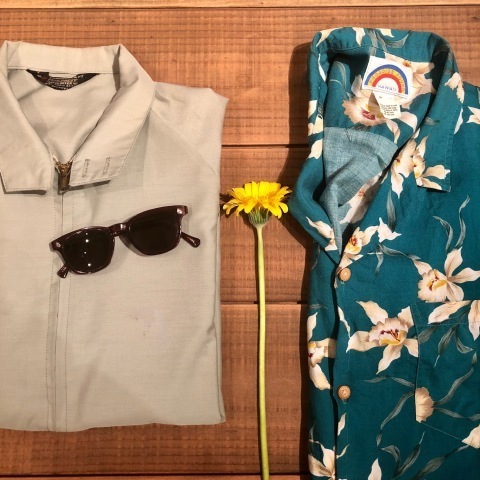 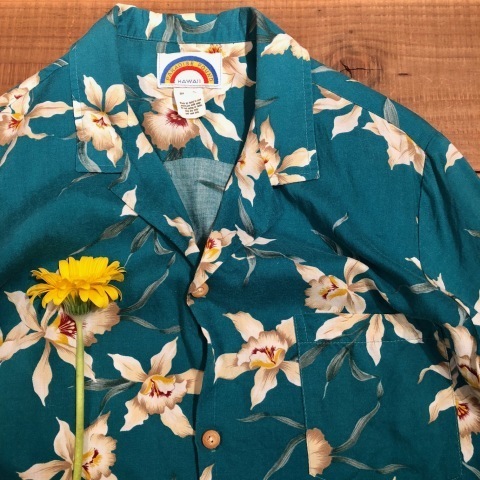 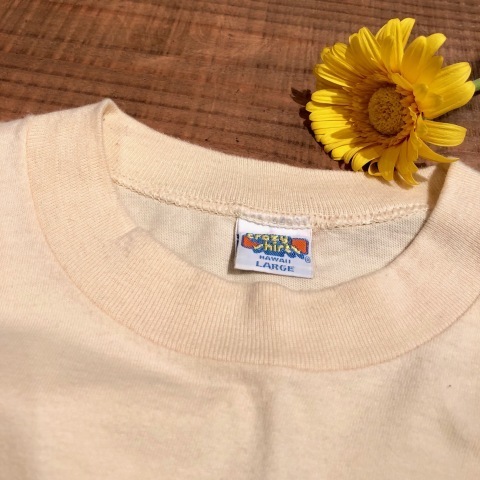 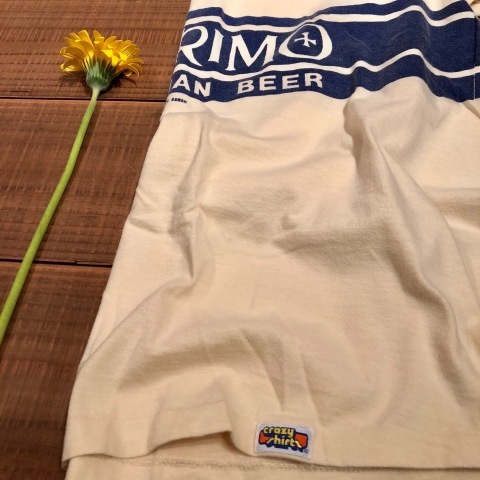 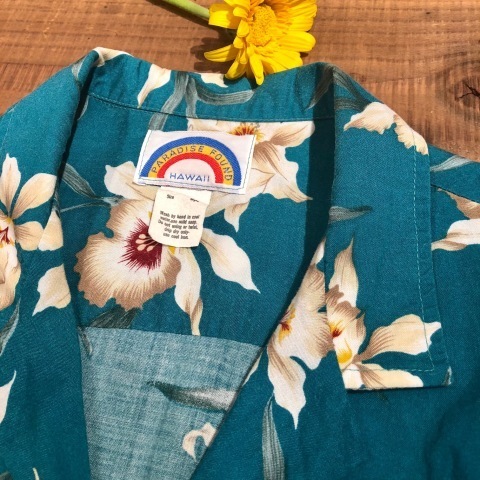 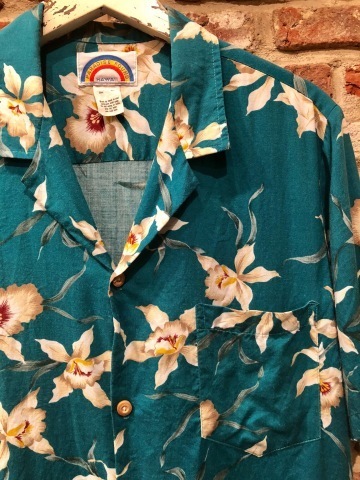 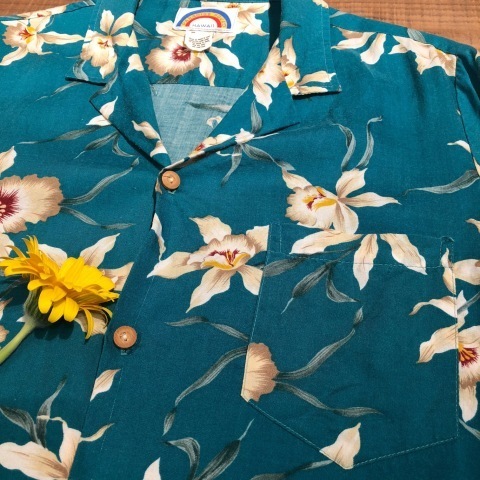 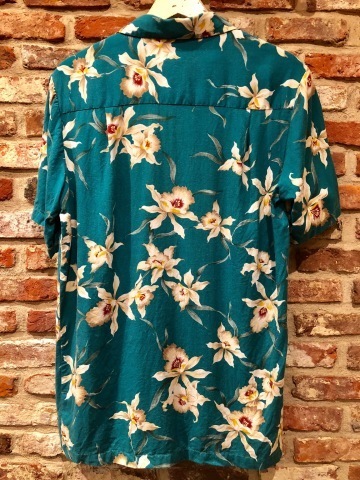 Late 1960s " Penney's - TOWN CRAFT - "
1976 " HAWAIIAN BEER - PRIMO - "
BRAND : 1976 " CRAZY SHIRTS HAWAII "
100% cotton NOVELTY Tee SHIRTS . 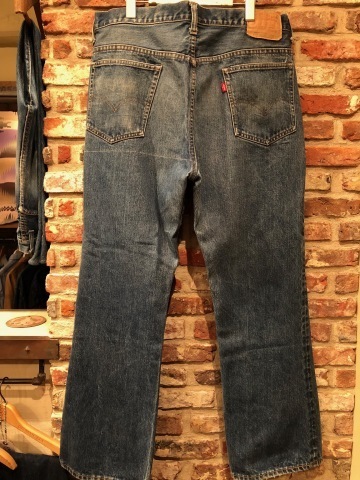 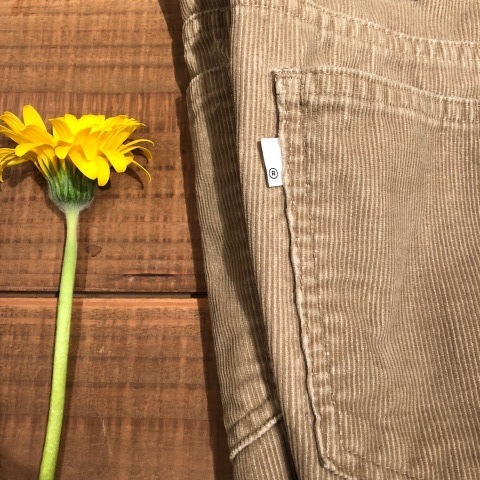 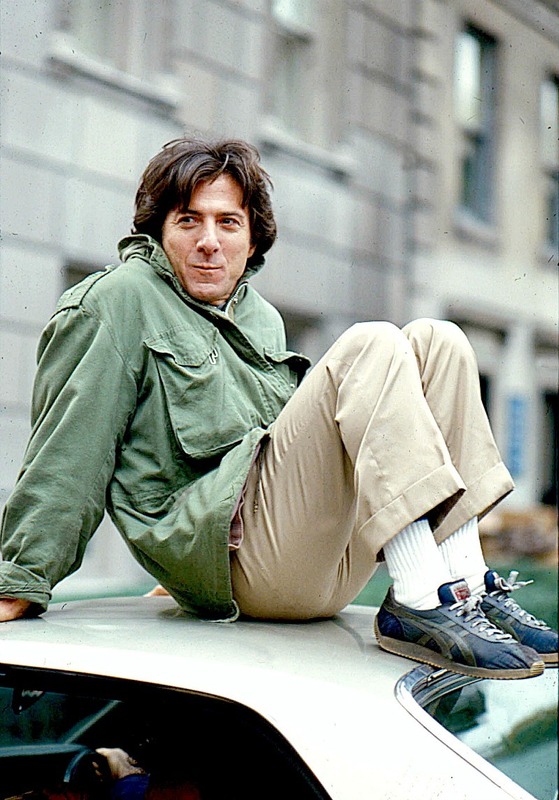 CORDUROY - STRAIGHT LEG - .
" 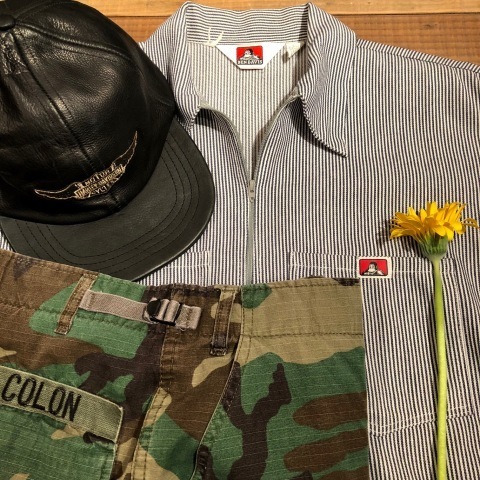 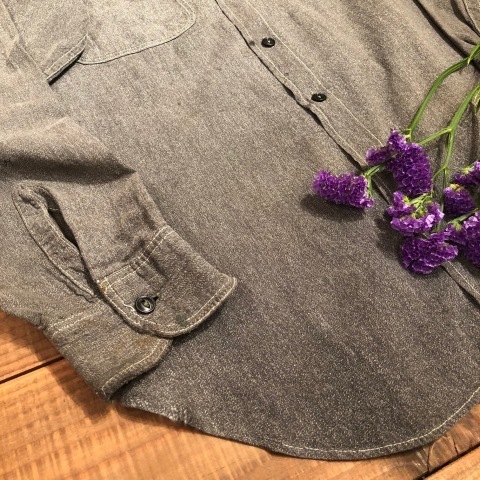 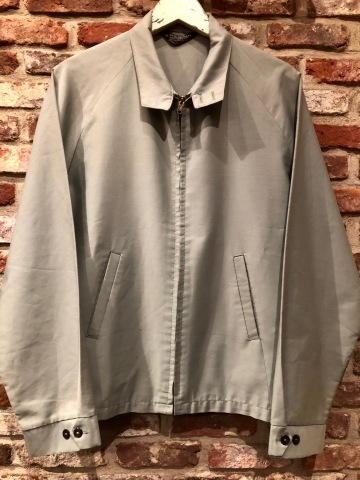 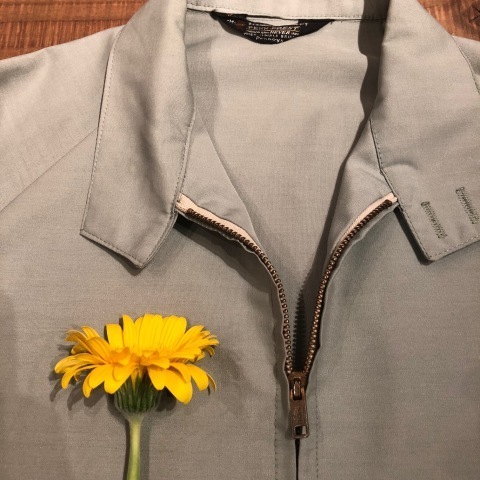 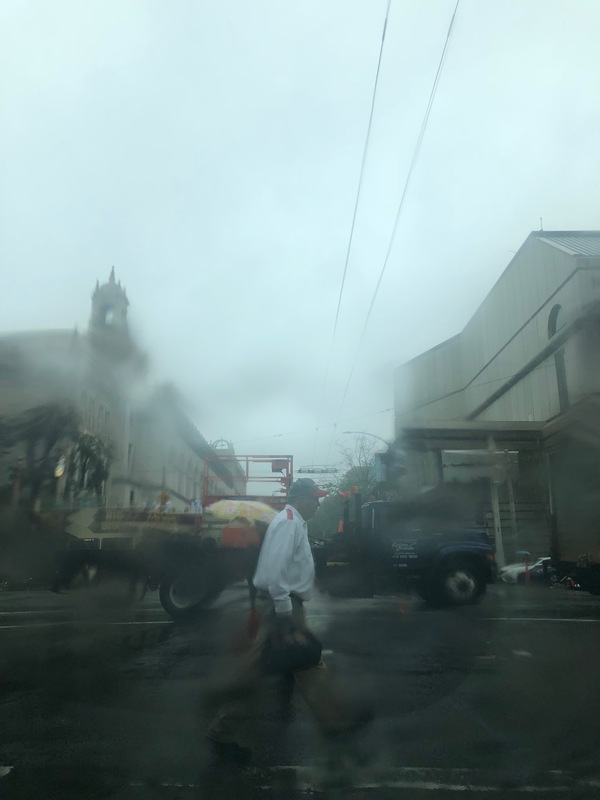 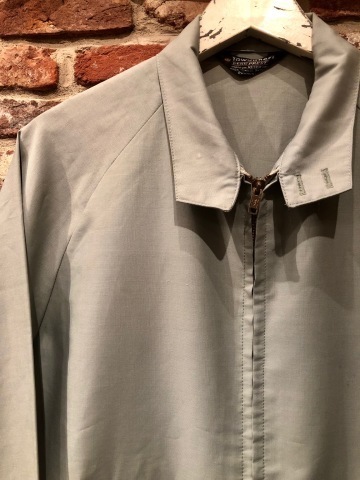 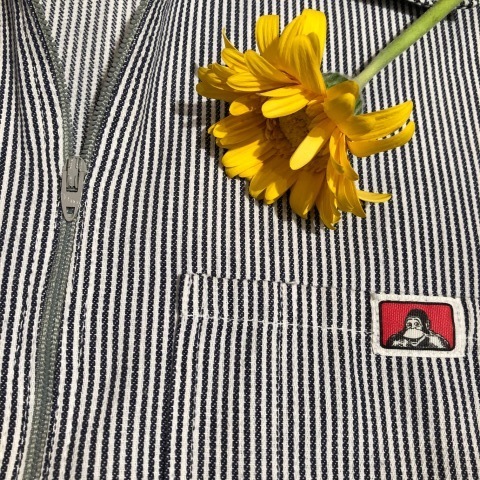 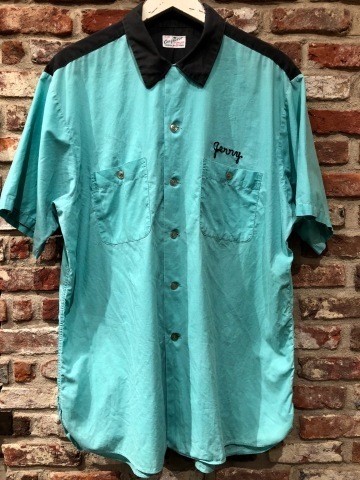 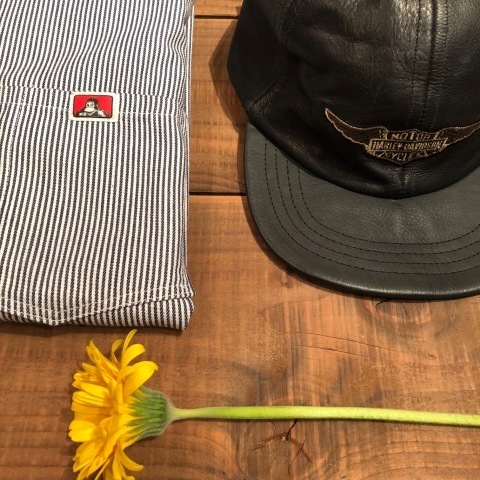 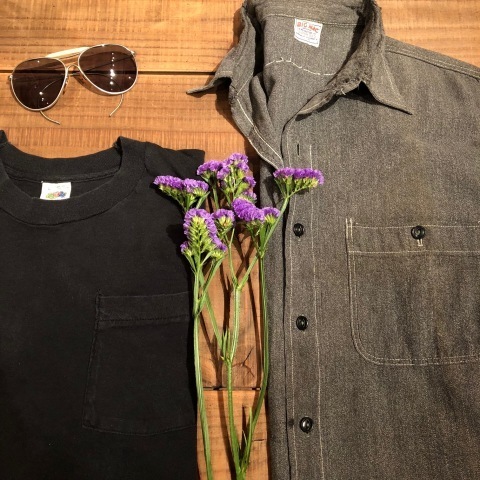 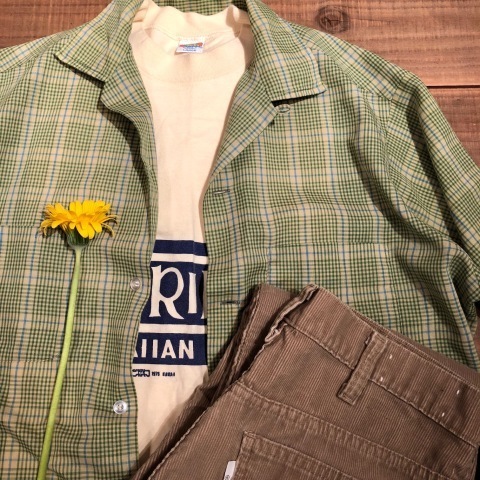 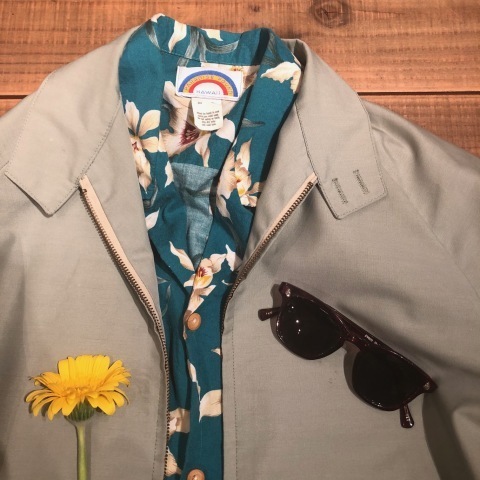 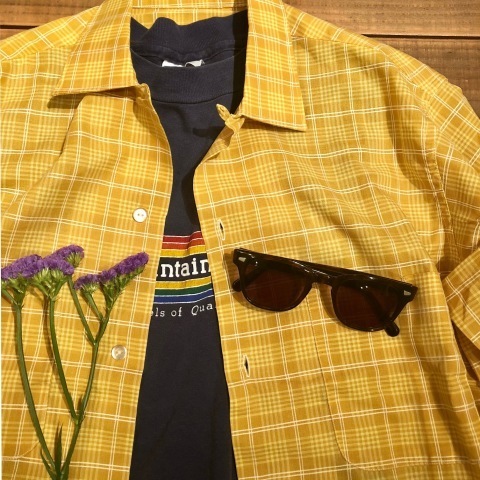 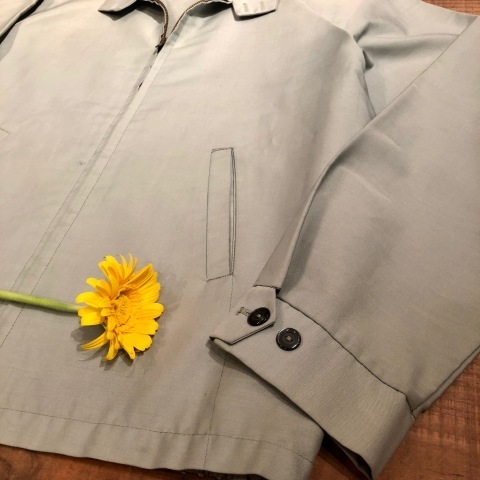 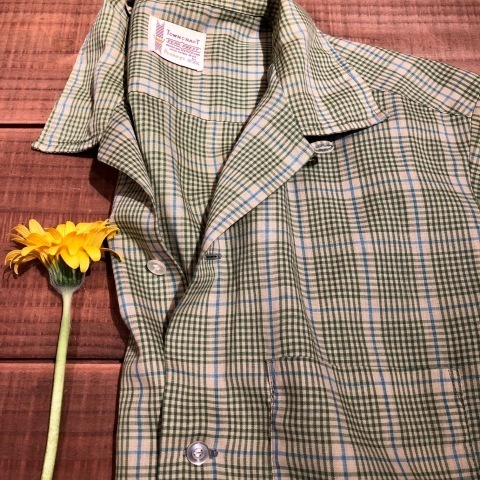 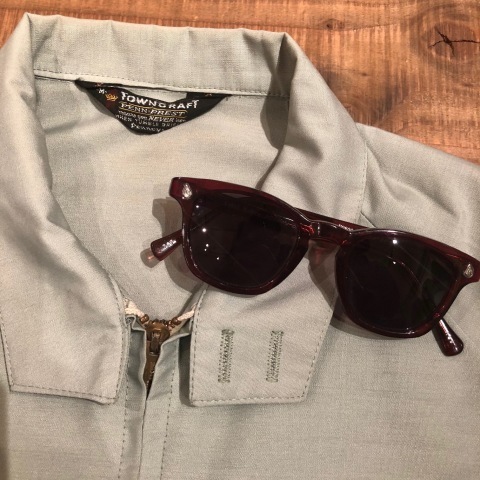 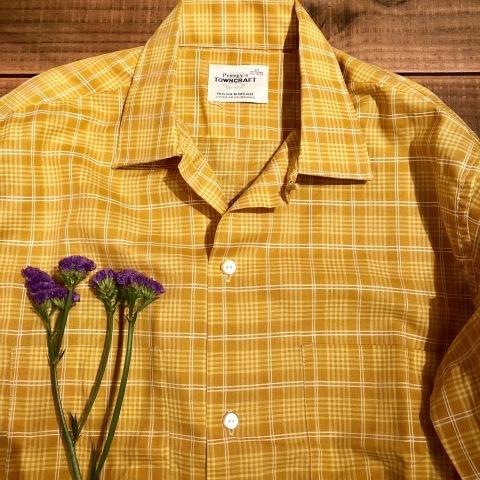 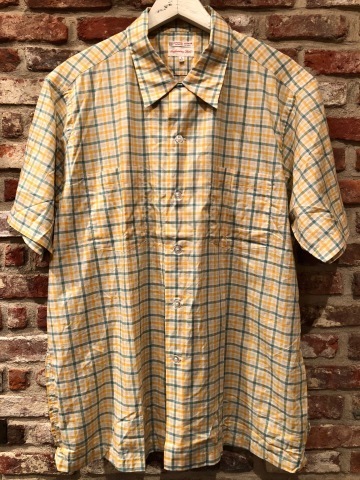 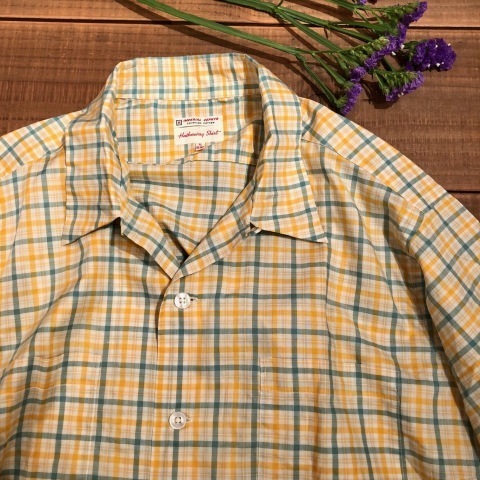 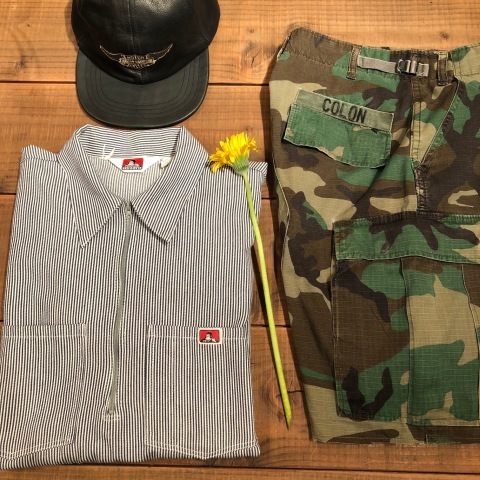 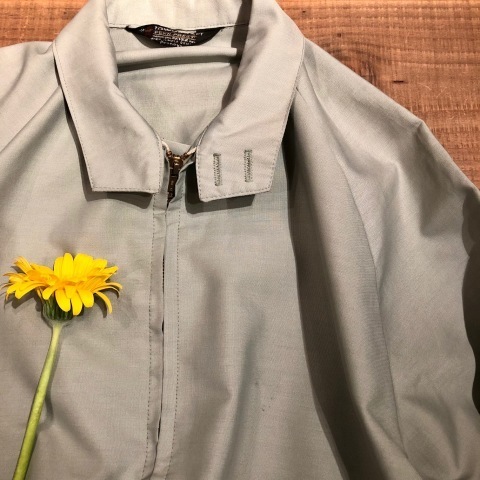 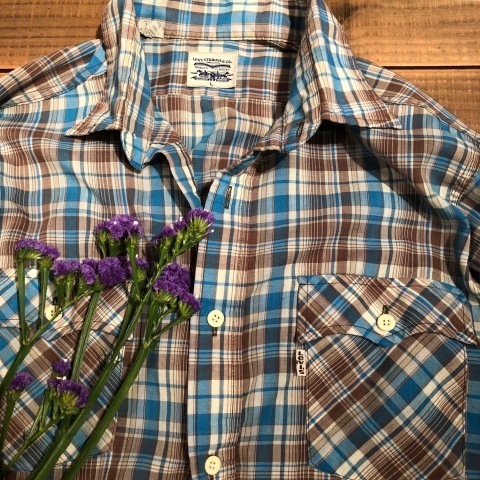 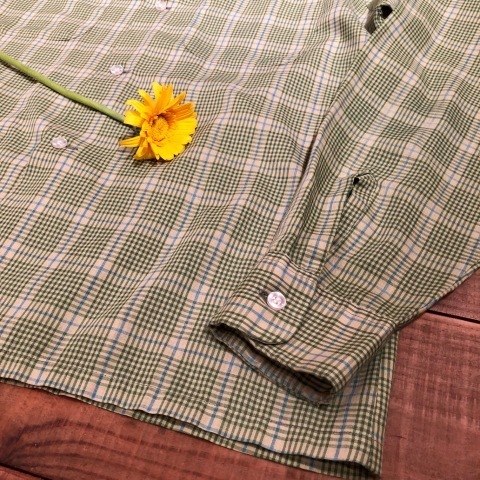 晴れ 時々 曇り "
1950s " The conqueror - BOWLING SHIRTS - "
" The conqueror - BOWLING SHIRTS - "
BRAND : 1950s " The conqueror -BOWLING SHIRTS- "
VINTAGE TRUKCER S/S SHIRTS . 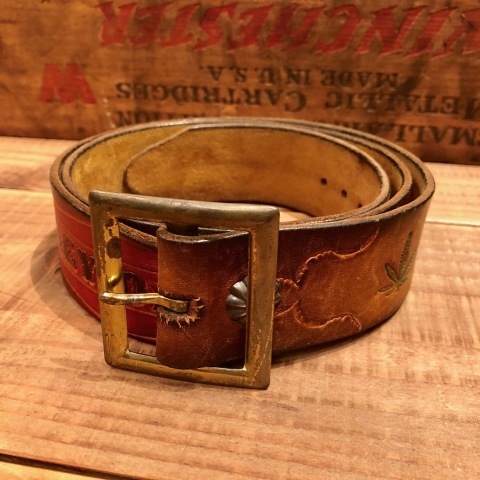 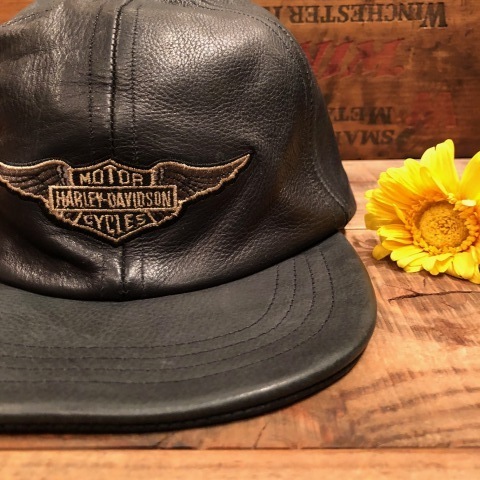 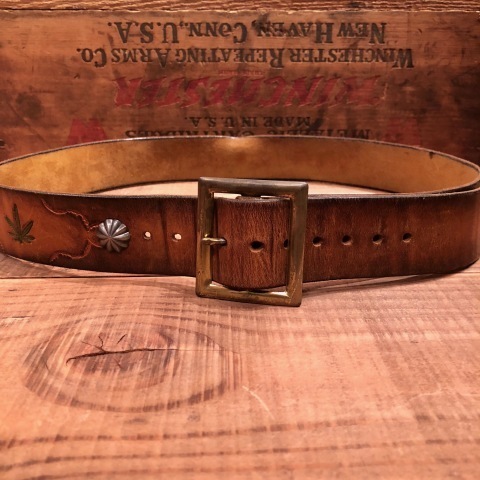 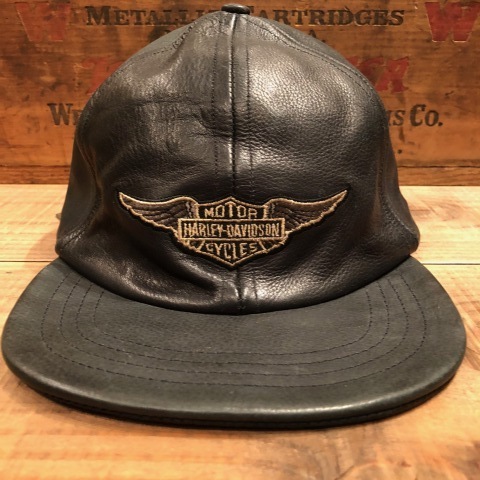 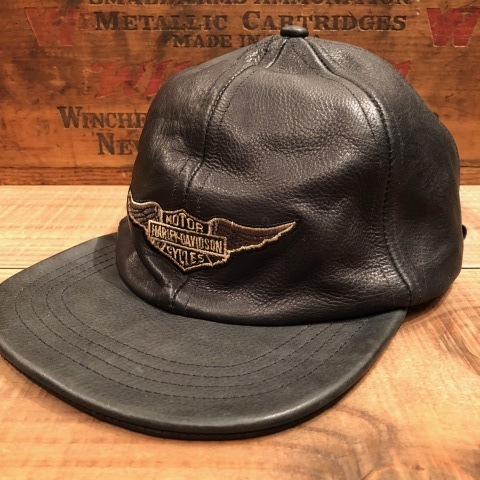 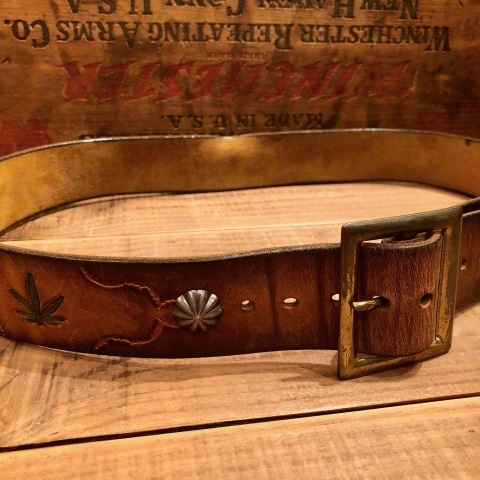 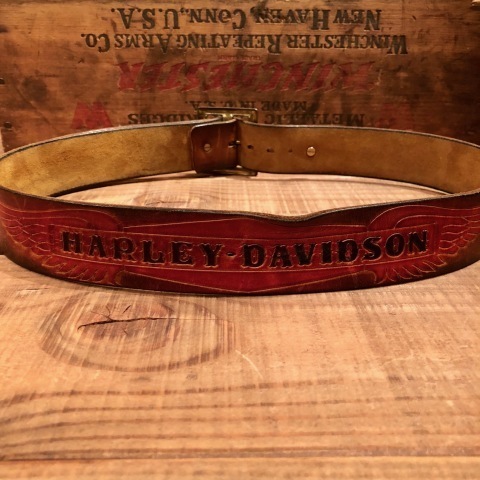 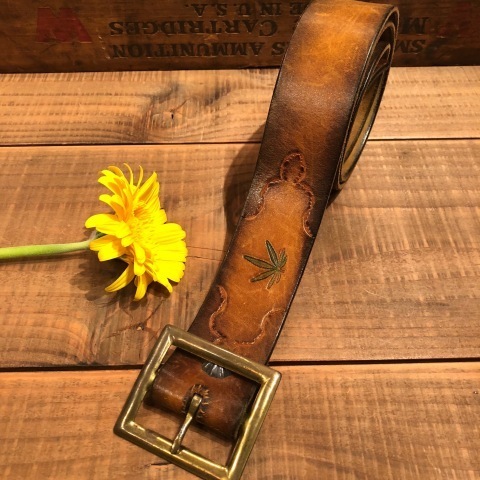 1970s " HARLEY DAVIDSON "
- carving leather - BELT .
" 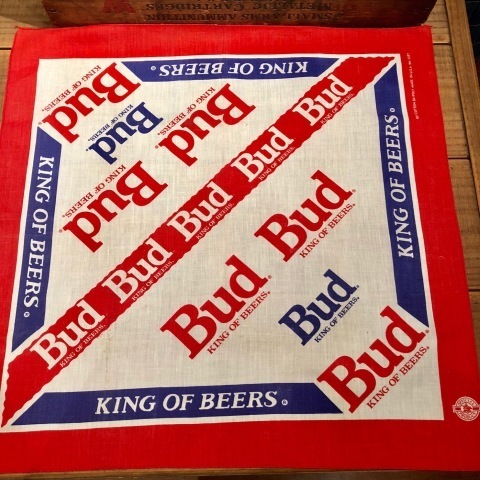 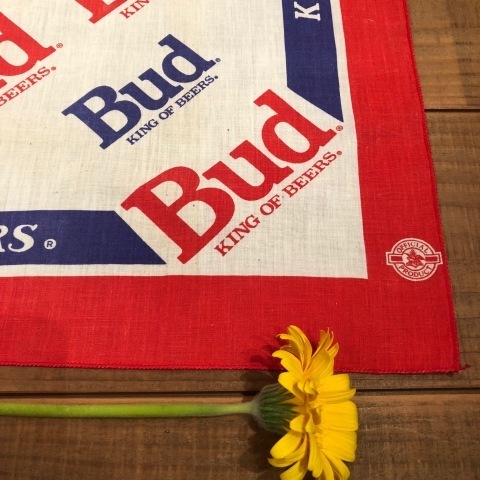 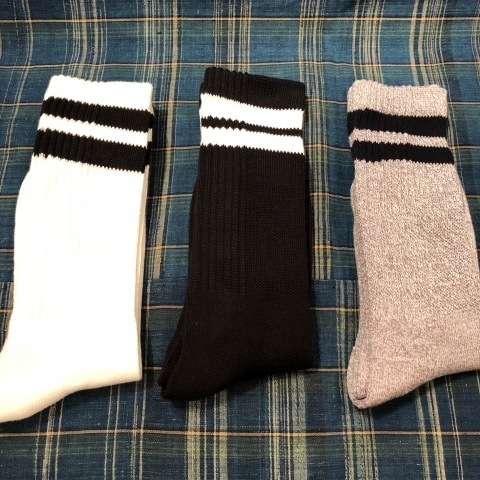 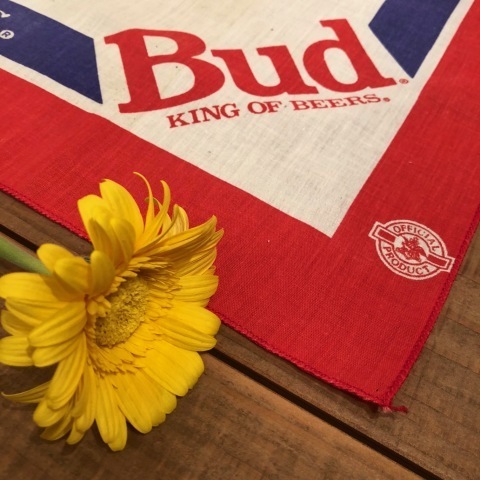 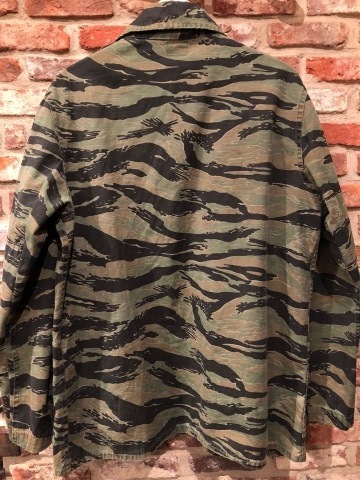 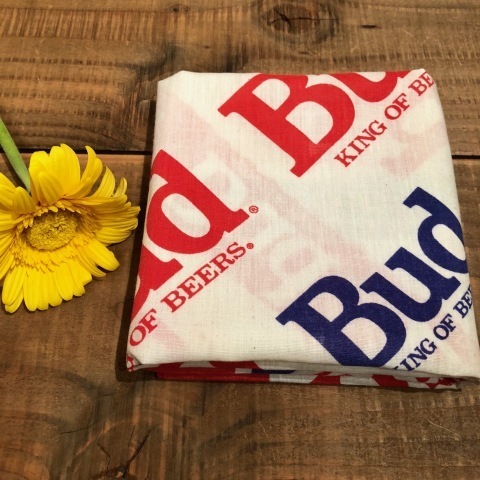 BUD WEISER Beer company "
BRAND : 1980s " BUD WEISER "
1980s " TIGER STRIPE CAMO "
1980s " HANES - BEEFY T - "
Late 1980s " HANES - BEEFY T - "
BRAND : Late 1980s " HANES - BEEFY T - "
CLASSIC POCKET Tee SHIRTS . 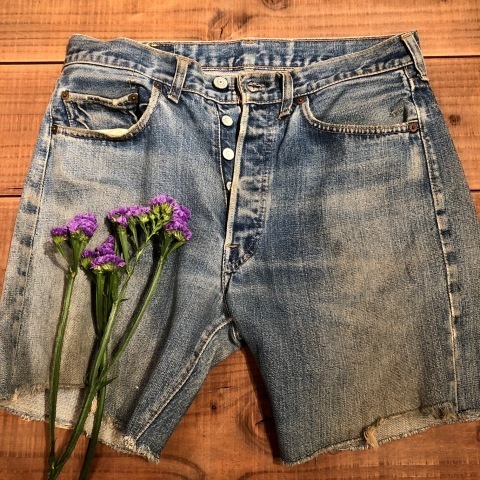 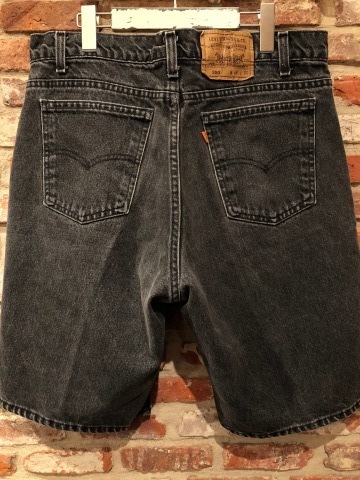 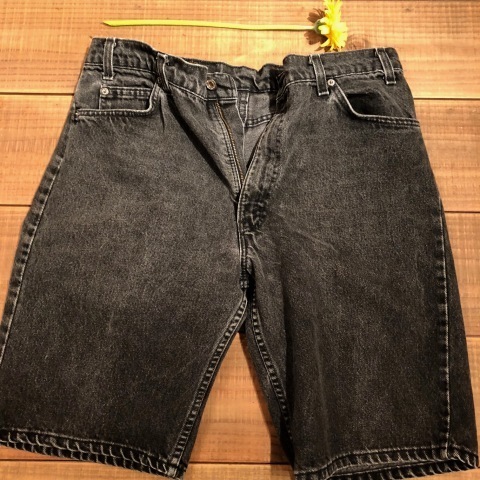 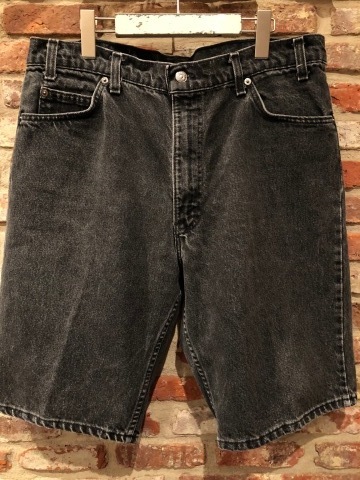 ITEM : 550 - BLACK DENIM - SHORTS .
" 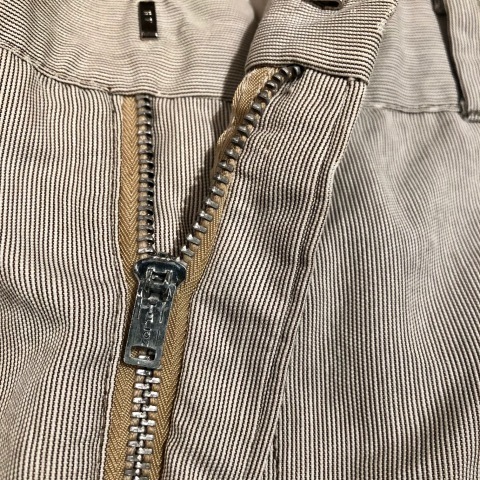 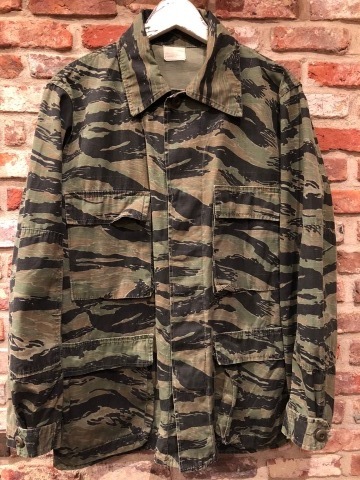 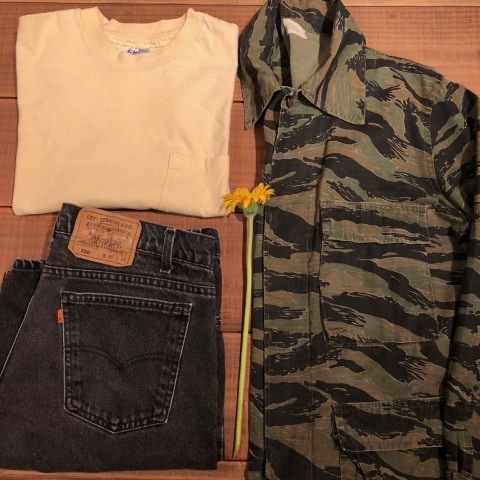 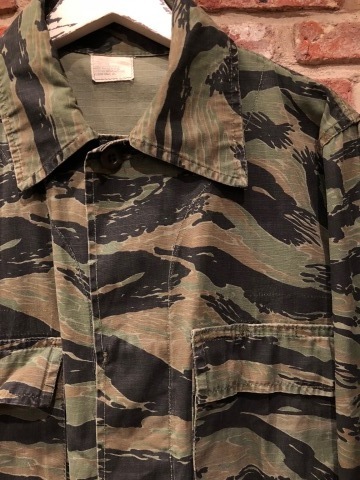 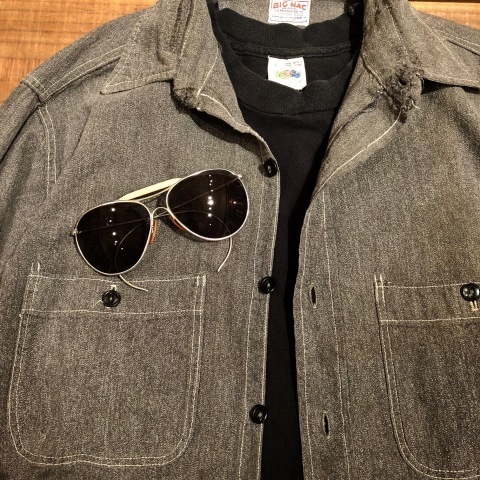 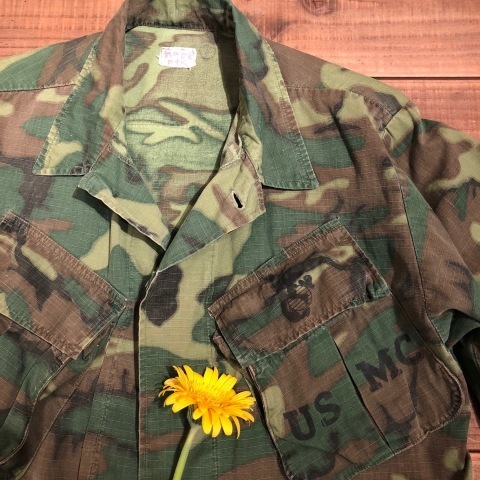 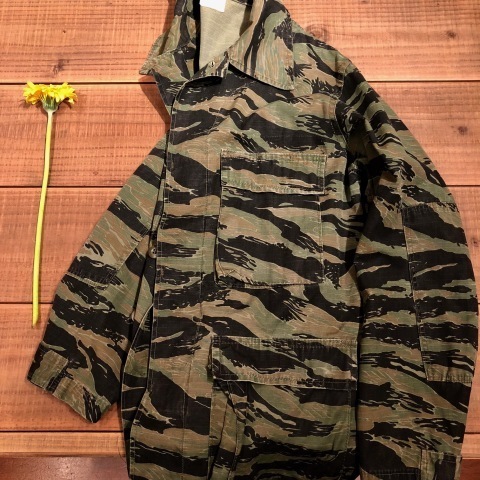 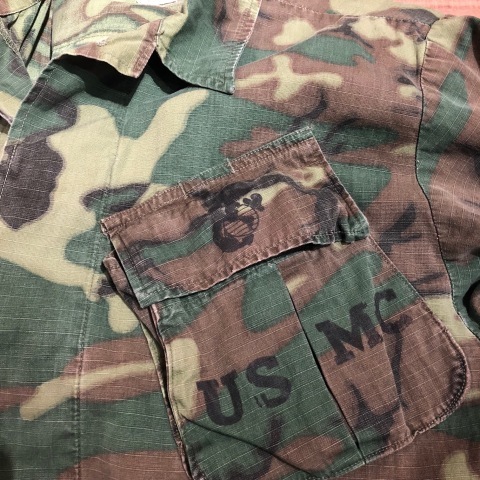 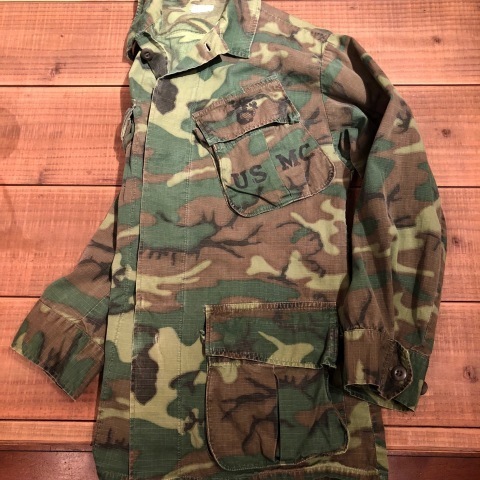 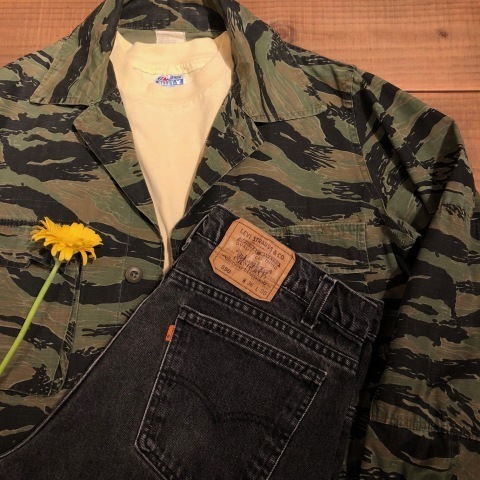 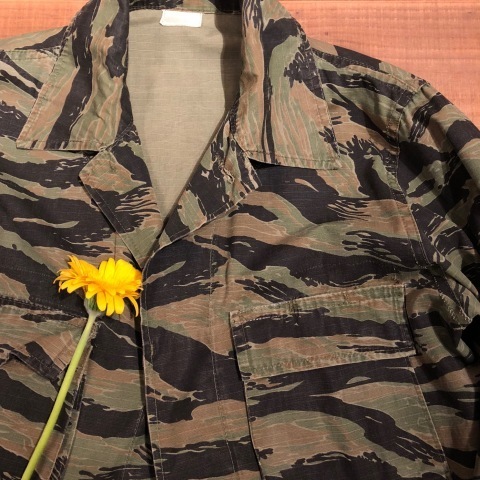 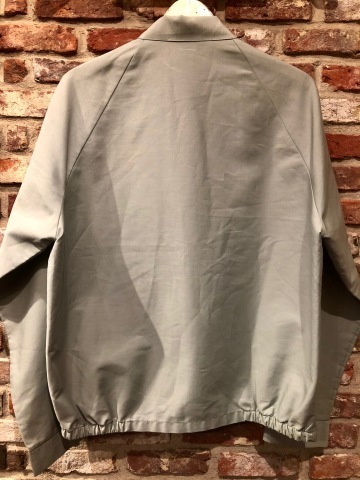 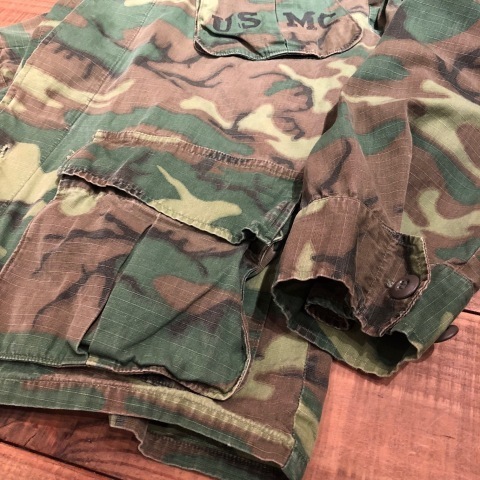 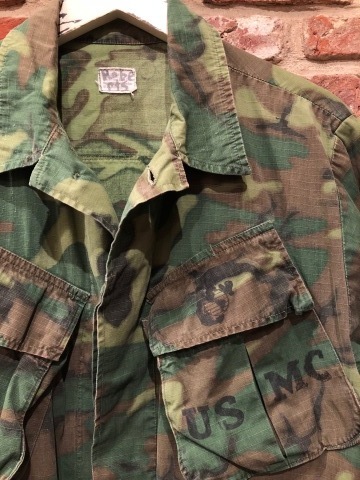 Half 1/2 Length "
" USE EVERY DAY "
Late 1960 " U.S.M.C "
BRAND : Late 1960s " U.S.M.C "
JUNGLE FATIGUE 4th JKT . 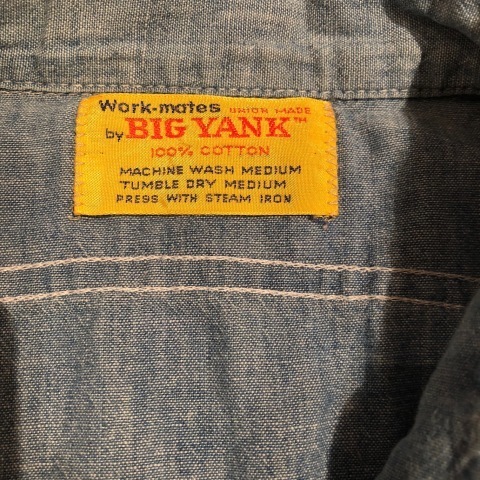 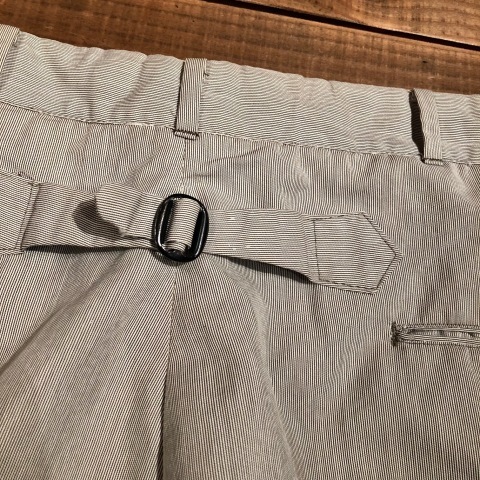 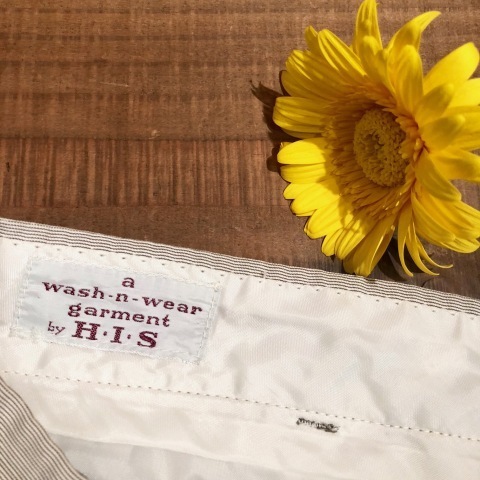 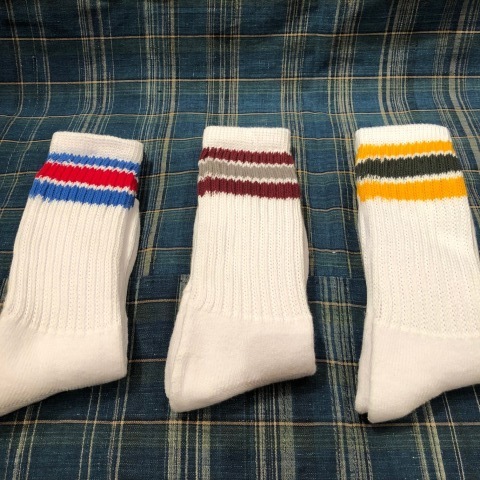 1970s " BIG YANK "
BRAND : 1970s " BIG YANK "
" A WASH - N - WEAR Garment by H.I.S "
- CINCH BACK - STRIPE SHORTS .